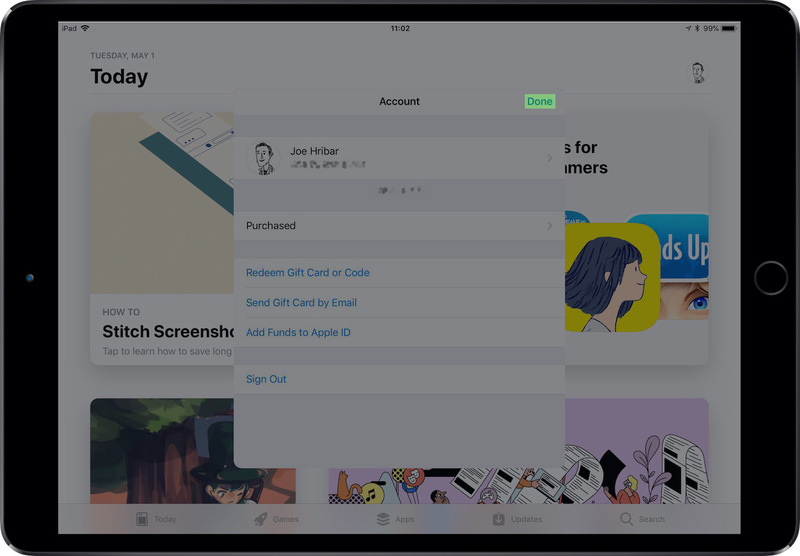 For weeks I’ve been thinking about what I would like to see in iOS 12. 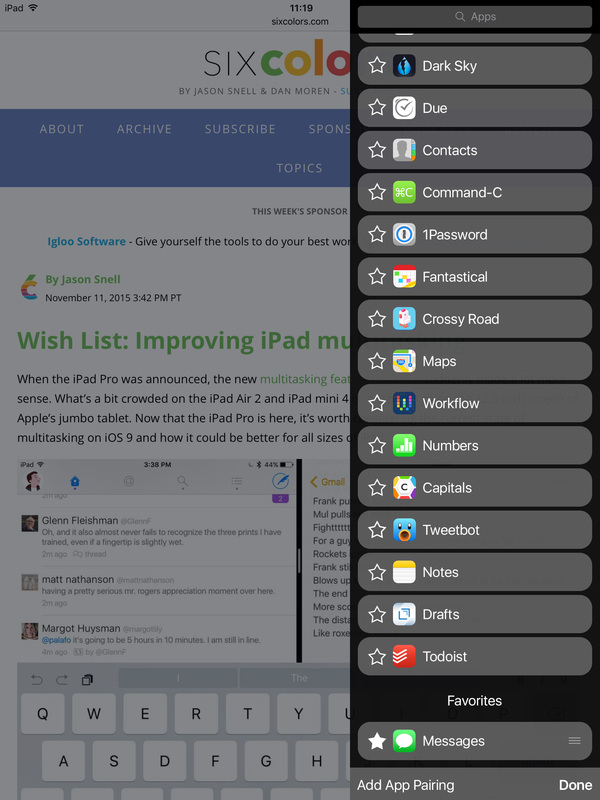 I’m a details person, so many of the things on my wishlist are tweaks or improvements to more minor aspects of iOS. 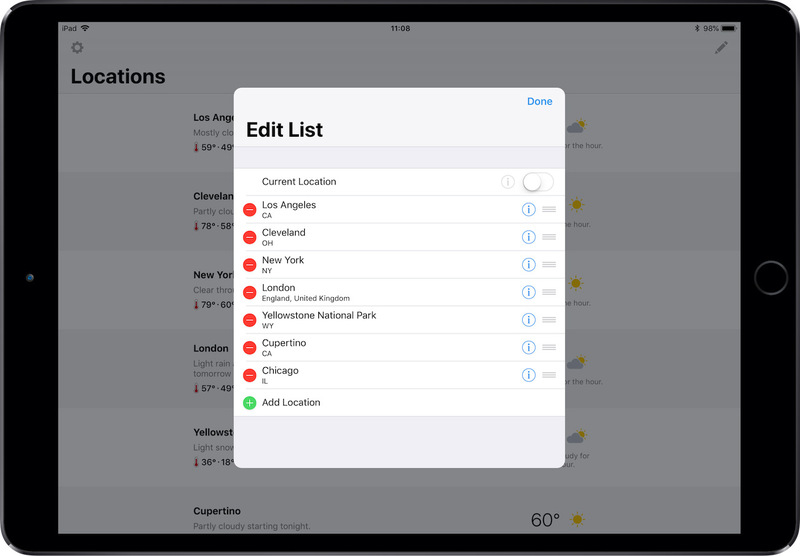 If Apple really is delaying big iOS features and focusing on smaller improvements for iOS 12, these things on my wishlist would fit right in. 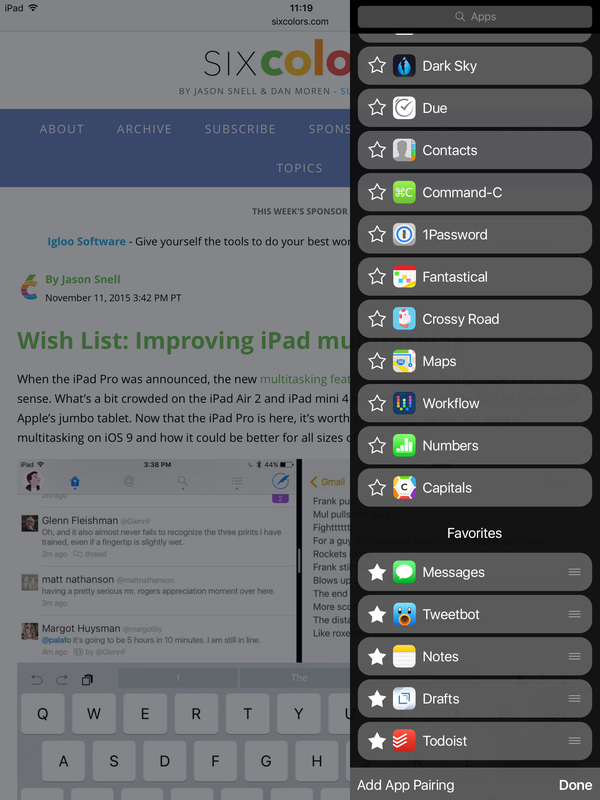 Dark mode all the things! 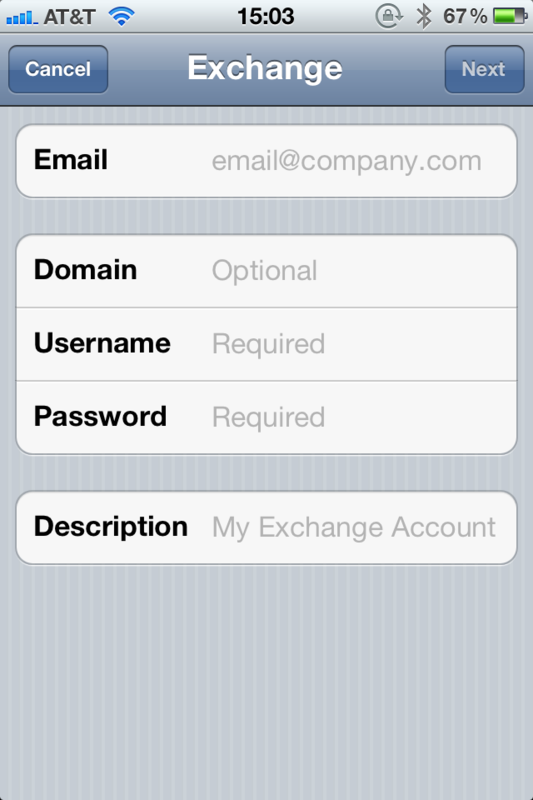 (I feel like this has been on my iOS wishlist for years now.) 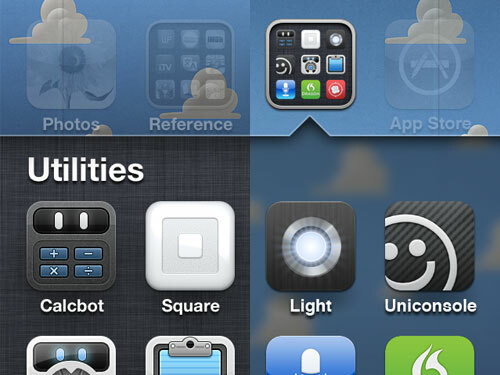 Developers can then tie in to the system determining if dark mode should be on or not. Also, dark mode should be toggled manually (perhaps by something in Control Center (though I would be sad to ditch the two-finger swipe up/down gesture in Partly Sunny, Tweetbot, and others)) or toggled automatically either by screen brightness or by daylight time (which could be scheduled like Night Shift or could use the device location’s sunrise and sunset times). 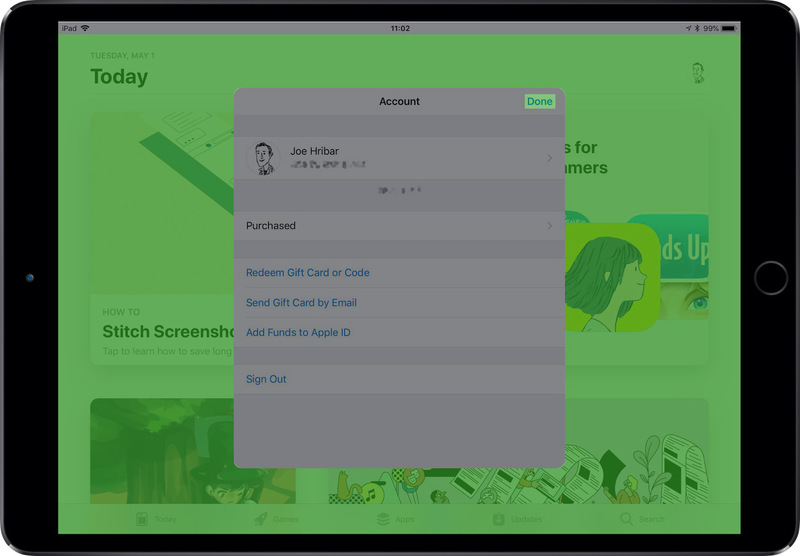 Unify the swipe-up gesture on iPhone and iPad. This means iPhone X Control Center isn’t in the top-right corner (hooray!). 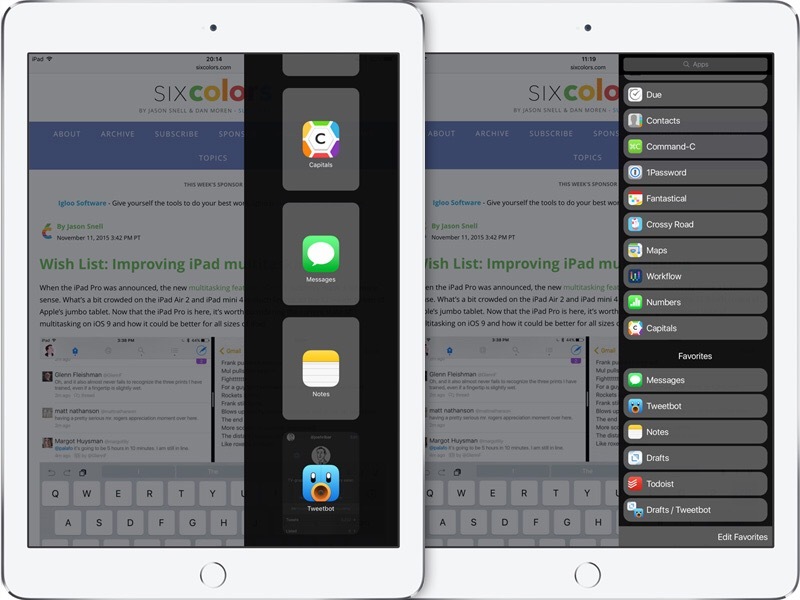 Perhaps the current implementations of Control Center and App Switcher on iPad and iPhone X could be combined: the new system would look like iPad with Control Center to the right of App Switcher, and it would work like iPhone X. Swiping up would go to the home screen, and swiping up and holding would bring up Control Center and App Switcher. 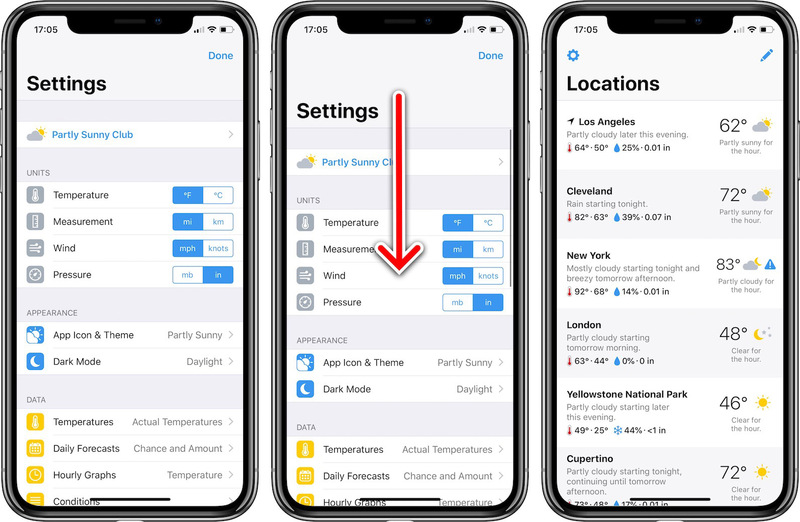 And like how iPhone X works currently, swiping up and to the right at the same time would bring up App Switcher in one action, and swiping up and to the left at the same time would bring up Control Center in one action. Messages recognizing a contact sent a message from another address (from email instead of phone number for example) and keeping the message in a single thread from the contact instead of a separate one. 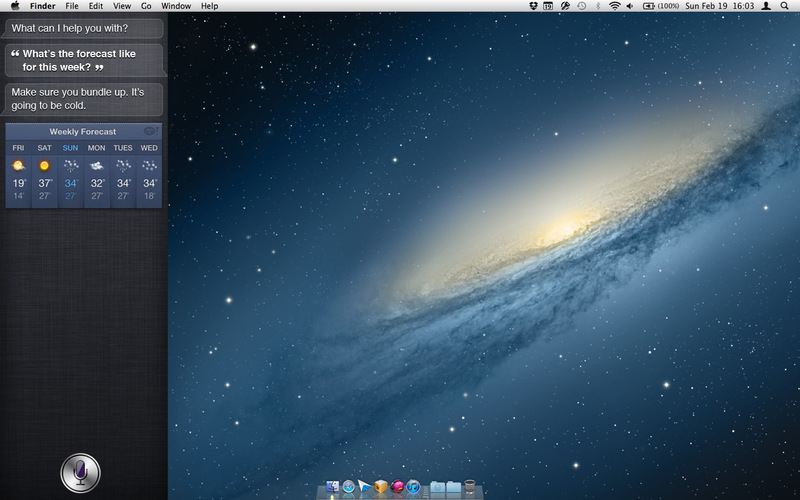 macOS does this. iOS should too. 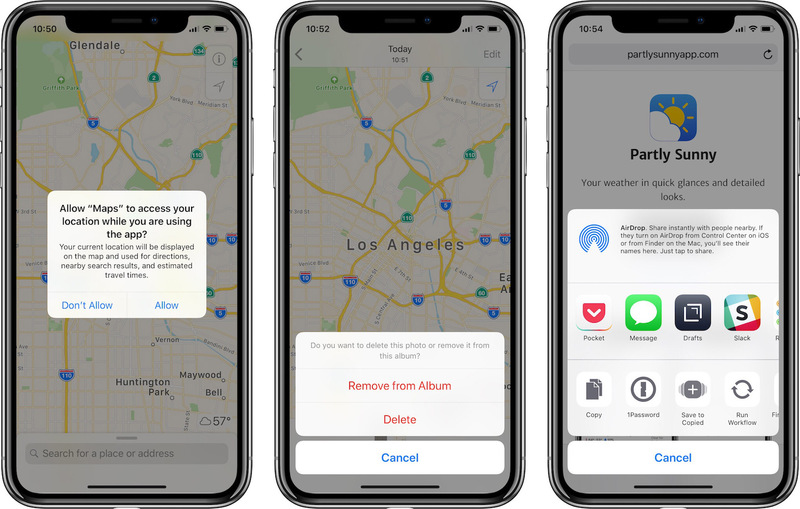 Ability to restore a single app or a selection of Camera Roll photos from a backup rather than having to restore the entire device. (Seriously, why is this still a thing?) 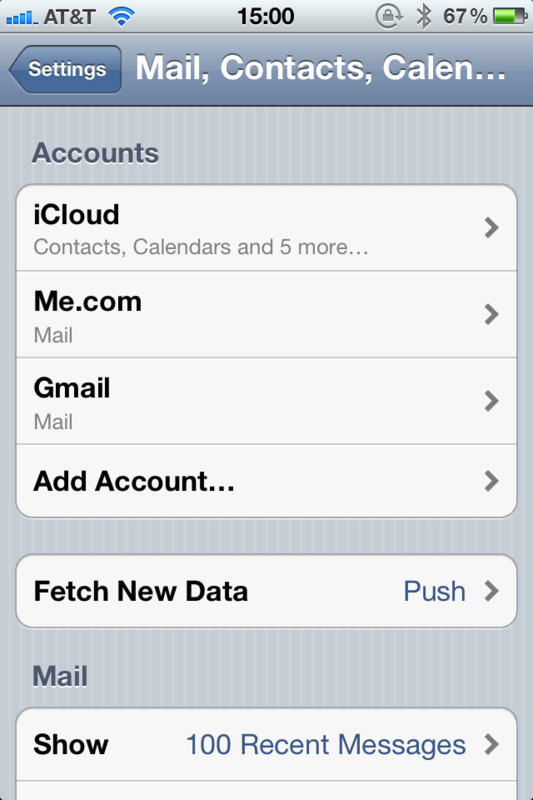 Imagine in iCloud settings being able to browse the contents of iCloud backups and selectively and directly restore things from them. 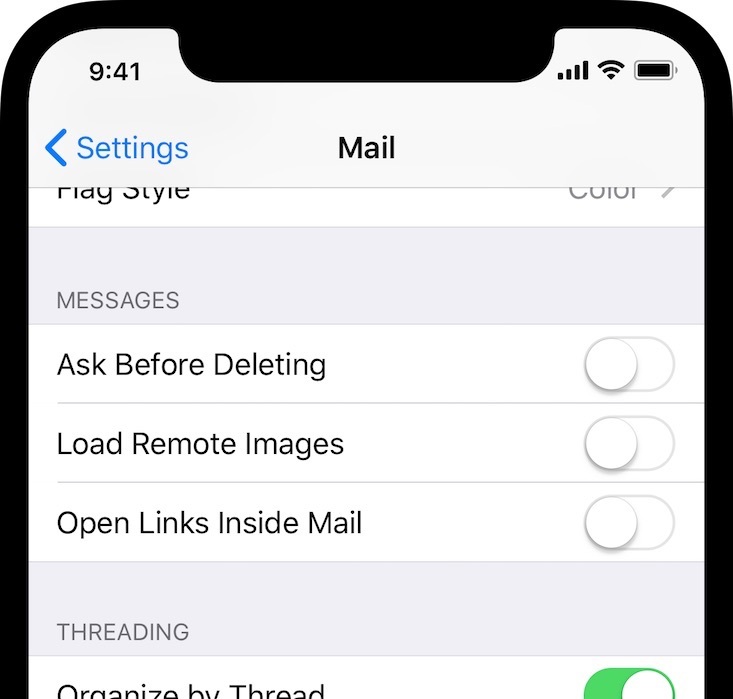 Make Apple Watch notifications opt-in instead of opt-out. 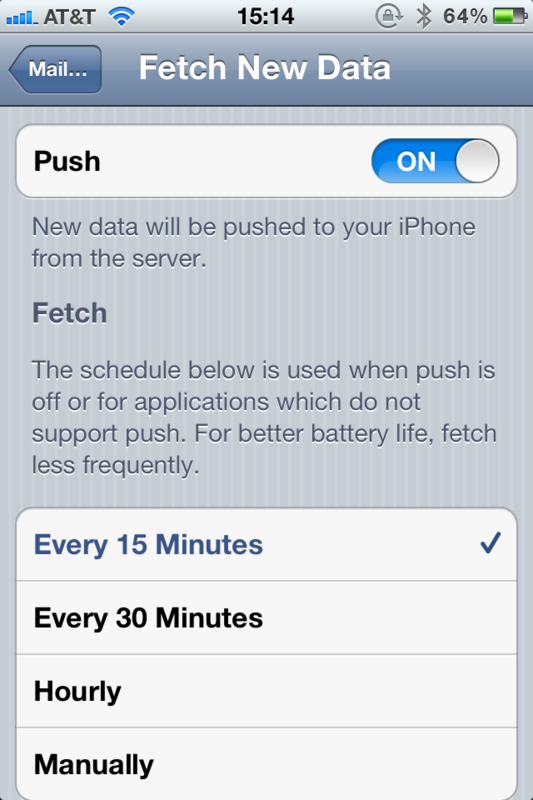 Currently, if on iPhone I allow an app to send notifications, I automatically get notifications on my Watch too. Nine times out of ten, I don’t want notifications on my Watch too, so I have to manually turn them off every time. I would like either a setting in Watch app to make notifications opt-in (meaning if I wanted Watch notifications too I would have to manually turn them on) OR on the iPhone app’s modal asking for permission to send notifications another choice that deals with Watch notifications. 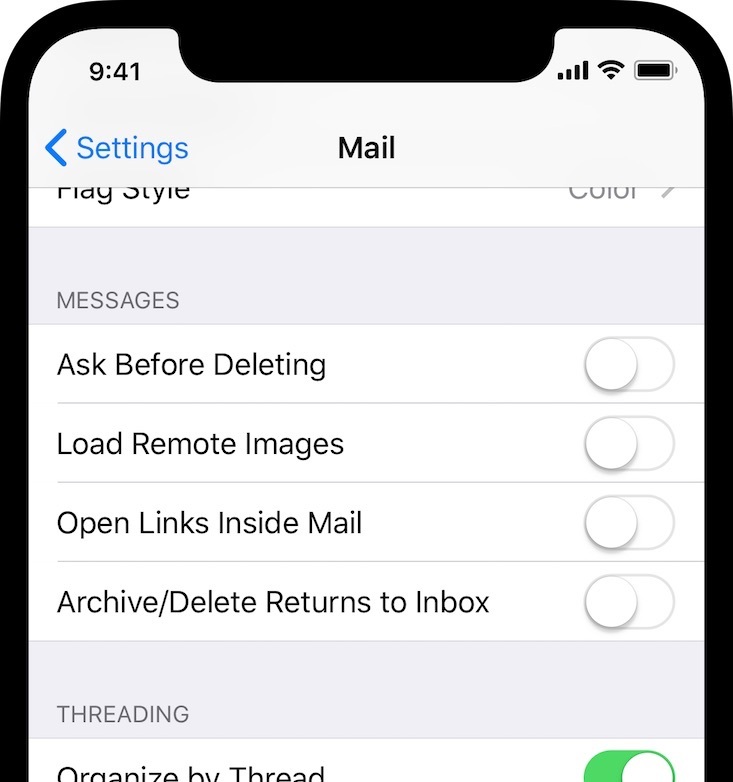 For example: “This app would like to send you notifications” with the choices of “Don’t Allow”, “Allow on iPhone”, and “Allow on iPhone and Apple Watch”. So, just a few things on my wishlist! Hah! What did I miss? No doubt as soon as I hit the publish button on this, I’ll think of something else. 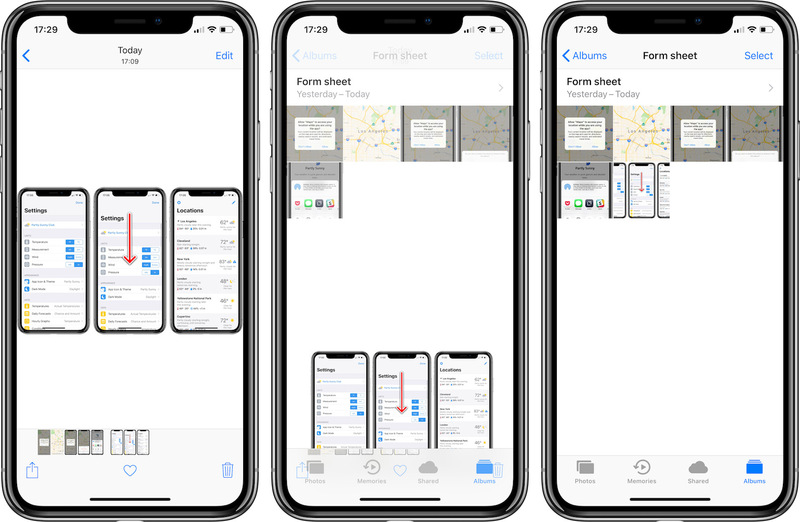 I hope at least a few of these are addressed in iOS 12—especially if it’s focused on polishing what’s already in iOS. We’ll find out on Monday! Face ID is magic. I keep expecting there to be something else I need to do, but it just does its thing without me even thinking about it. 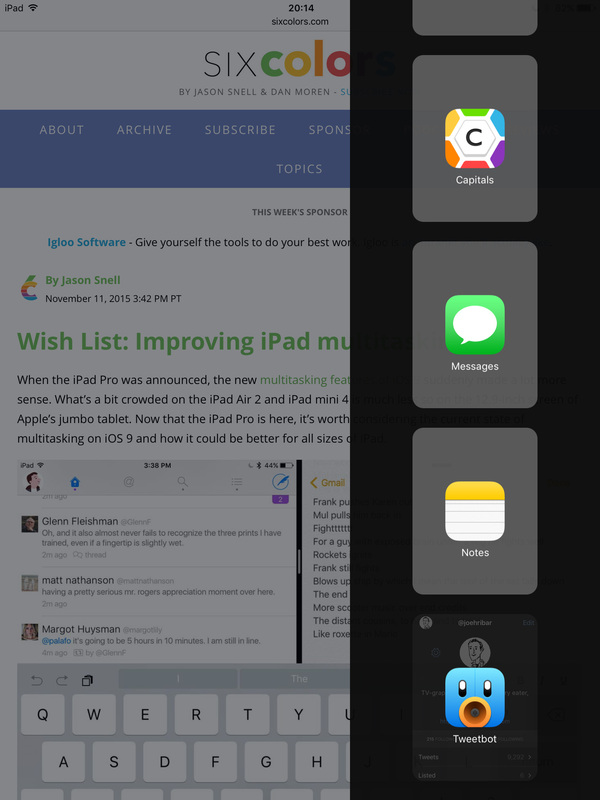 I do miss the 3D-Touch app-switcher gesture on X. The left/right swipe of the home indicator is fine but not as convenient. I’m very curious for the future. What will iPhone X2 look like? What will Apple take from X to the rest of their product line? 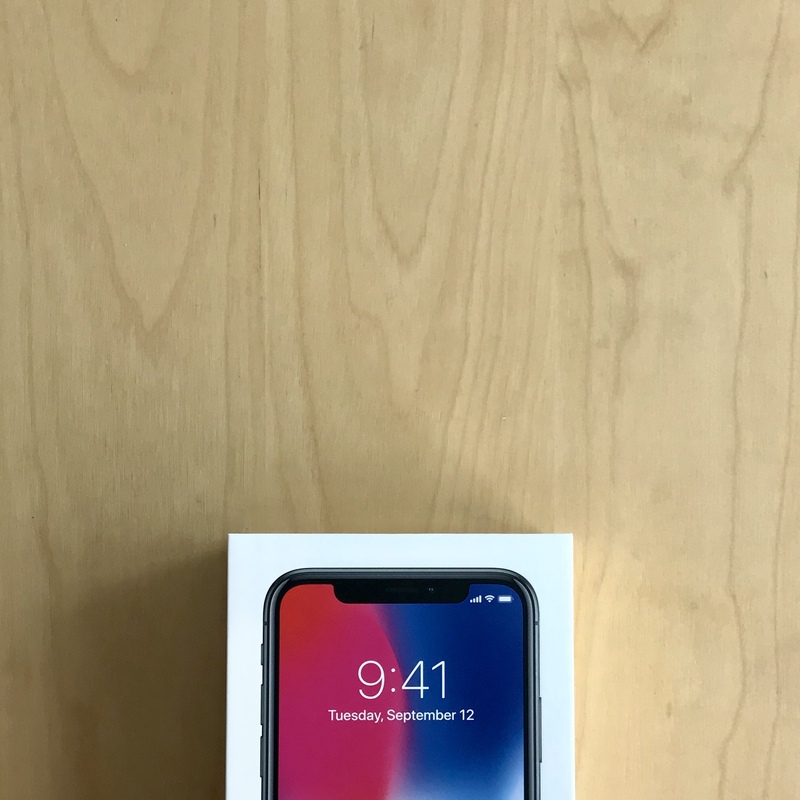 Well done to everyone at Apple who brought us iPhone X. It’s the future, and it’s crazy good. 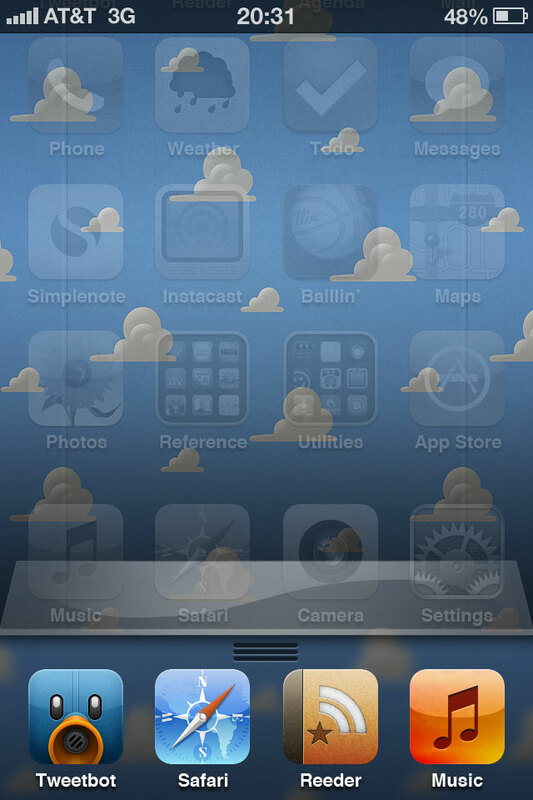 From this Apple Support tweet, I’m mesmerized by these animations. Does this little guy have a name? Does he ever get tired? What does he do when he’s not exercising? Lost in recent Apple Music discussions is how the usability of navigating on-device music has been unnecessarily over-complicated. 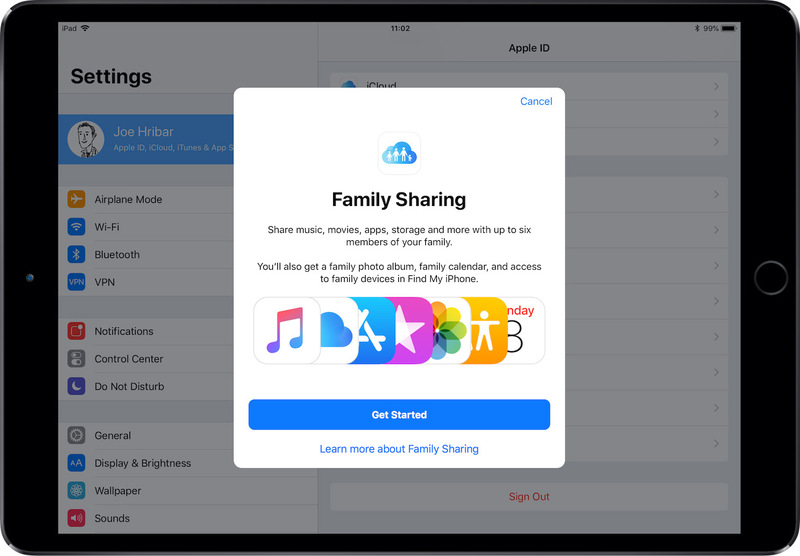 Apple’s focus on Apple Music the service has seemingly come at the expense of Apple Music the app. 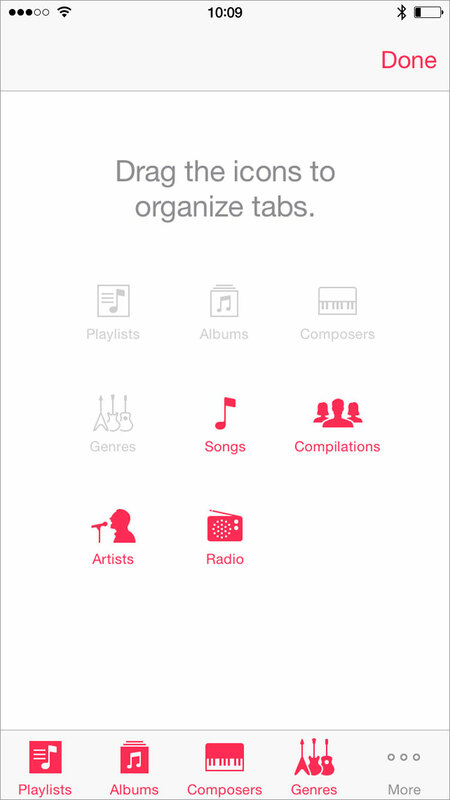 Along with Apple Music the service, iOS 8.4 brought a new organization scheme to Apple Music the app. 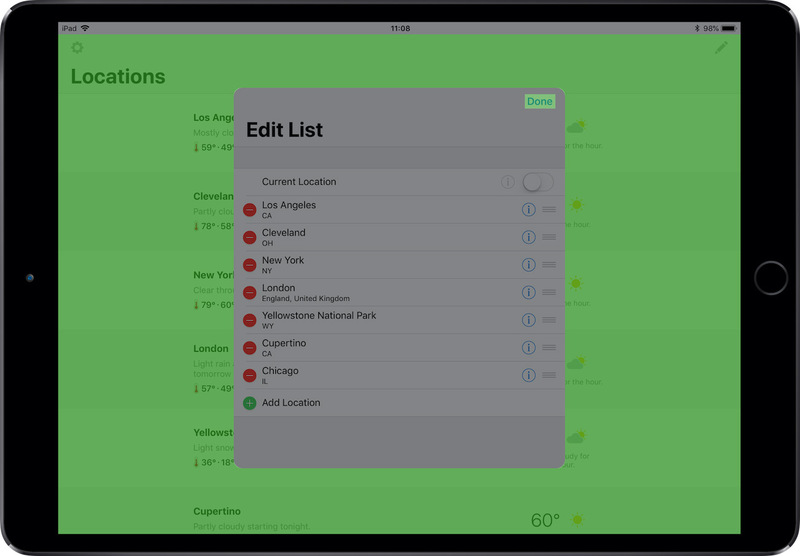 Previously, the bottom navigational tabs in the app were customizable. I could choose four of Playlists, Albums, Composers, Genres, Songs, Compilations, Artists, and Radio. To jump from one list of items to another involved a single tap (provided both were present in the customizable tabs). For example, say I wanted to navigate from my list of composers to a specific album. 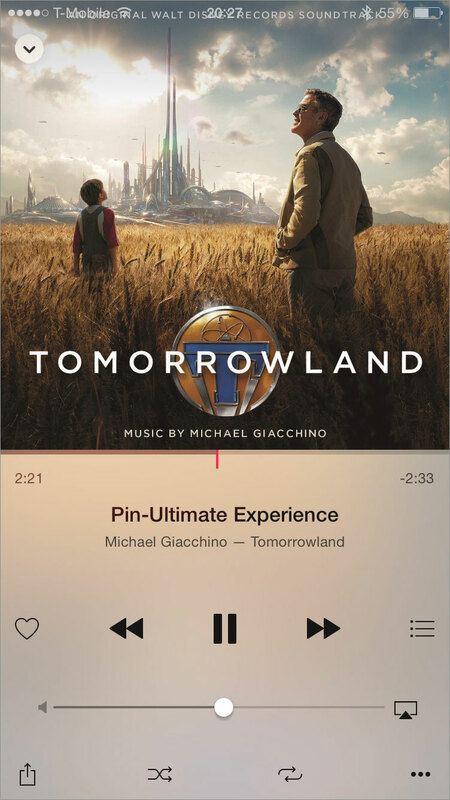 Let’s say I want to listen to a track on the Tomorrowland score. 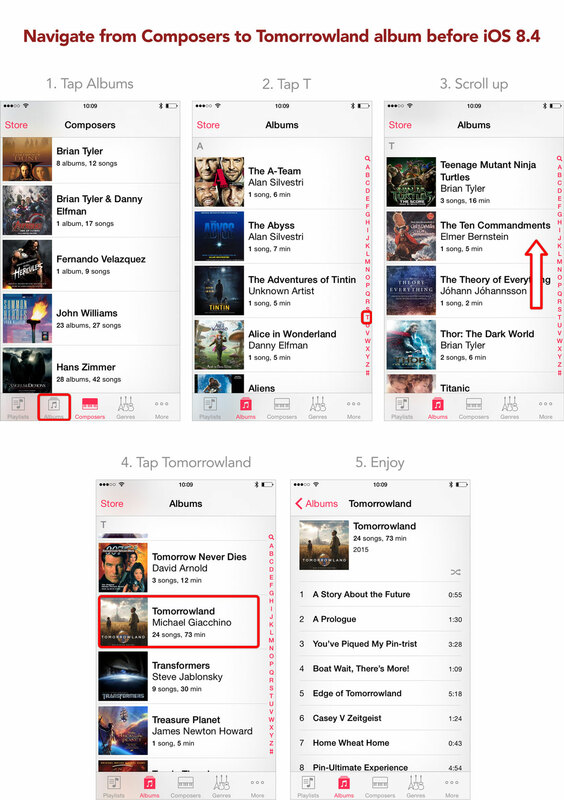 Before 8.4, I would tap the Albums tab, tap the T in the letter slider along the righthand side, scroll to reveal Tomorrowland, and select the Tomorrowland album. Four steps. In 8.4, that process has become more complicated. 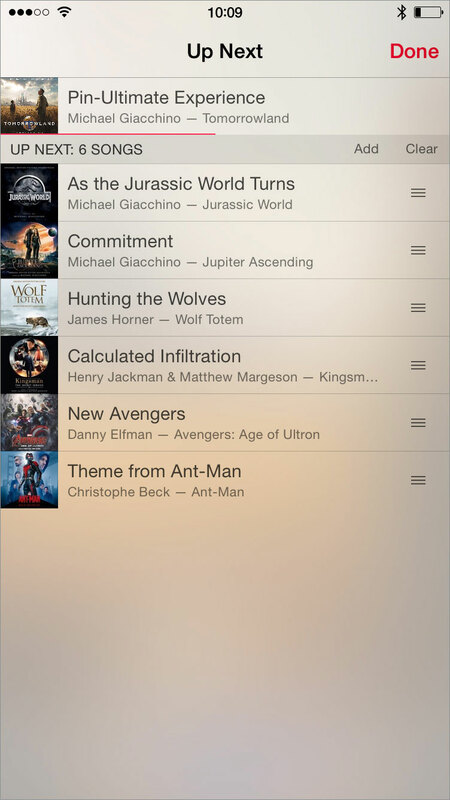 To navigate from composers to Tomorrowland, I tap the status bar to scroll the list of composers to the top, tap the sort button, select Albums, scroll the Recently Added section out of the way, tap the T in the letter slider along the righthand side, scroll to reveal Tomorrowland, and select the Tomorrowland album. Seven steps. The steps to navigate are nearly doubled. I could search for the album or track I want to listen to, but I shouldn’t have to rely on search to navigate. While Apple Music the service has made streaming favorite artists and albums easier, Apple Music the app has made navigating on-device artists and albums harder. In Settings > Music, if I toggle off “Show Apple Music”, the “New” and “For You” tabs in Music are replaced with a Playlists tab. 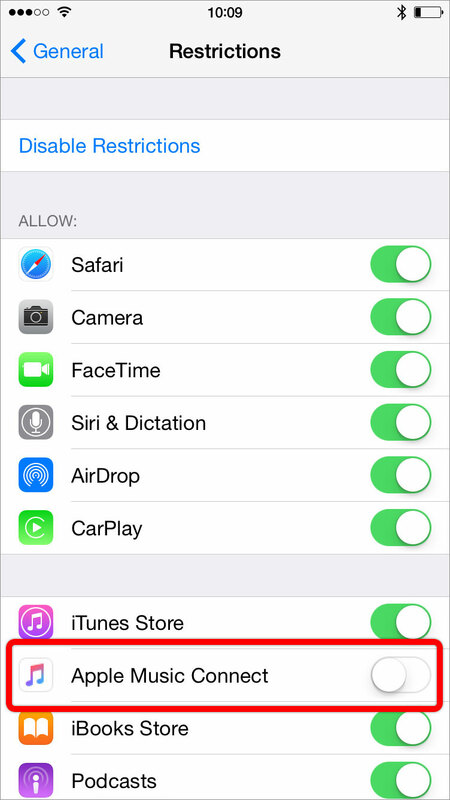 And in Settings > General > Restrictions, if I toggle off “Apple Music Connect”, the Connect tab in Music disappears. Why make customizing this row of tabs buried and convoluted especially since in the previous version of the app this customization was forefront and simple? 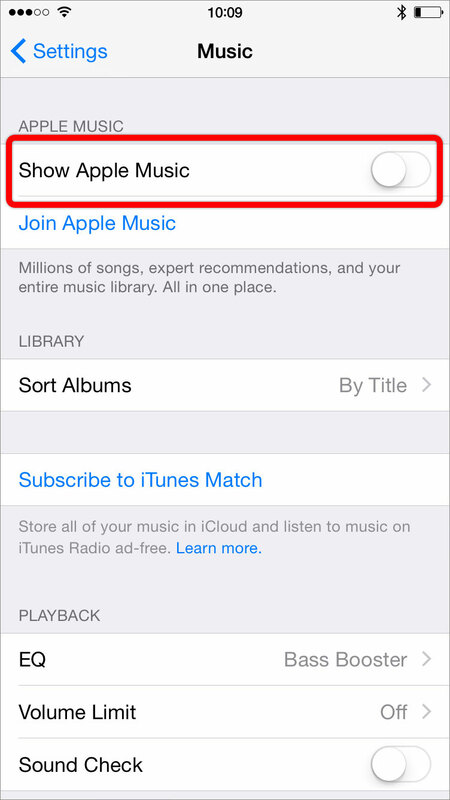 Navigating my music isn’t the only frustrating new thing about Apple Music the app. 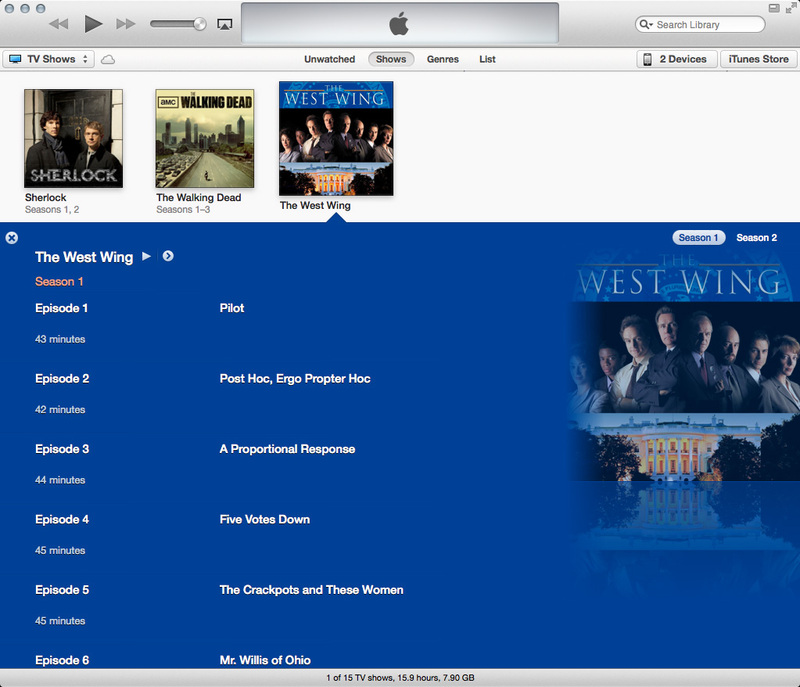 The Now Playing view features album art positioned flush against the top of the screen. This top-heavy design makes the whole view unbalanced. And the album art’s new position means the status bar covers the art—making for situations were the status bar is illegible. While the new Apple Music the app has become fraught with usability frustrations, the app does have two new features in particular that are welcomed additions. 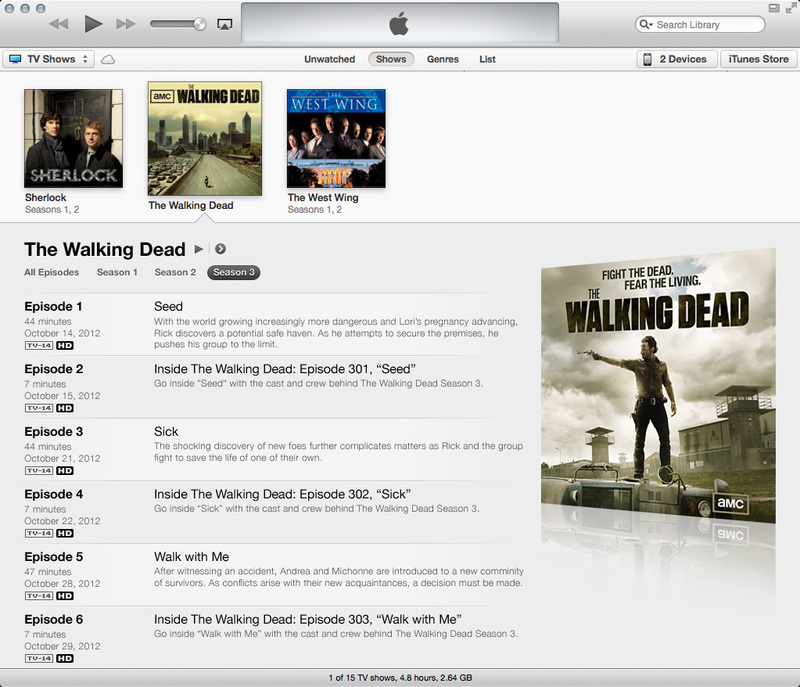 First is the Up Next feature similar to iTunes on the Mac to show all the upcoming tracks to play. 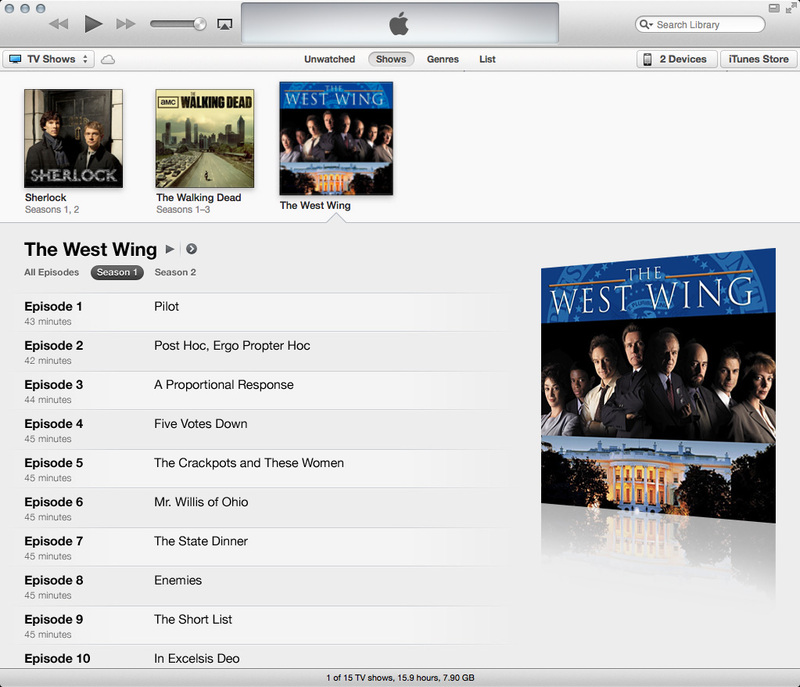 This is especially helpful to create an on-the-go playlist that iPods of yesteryear could create. 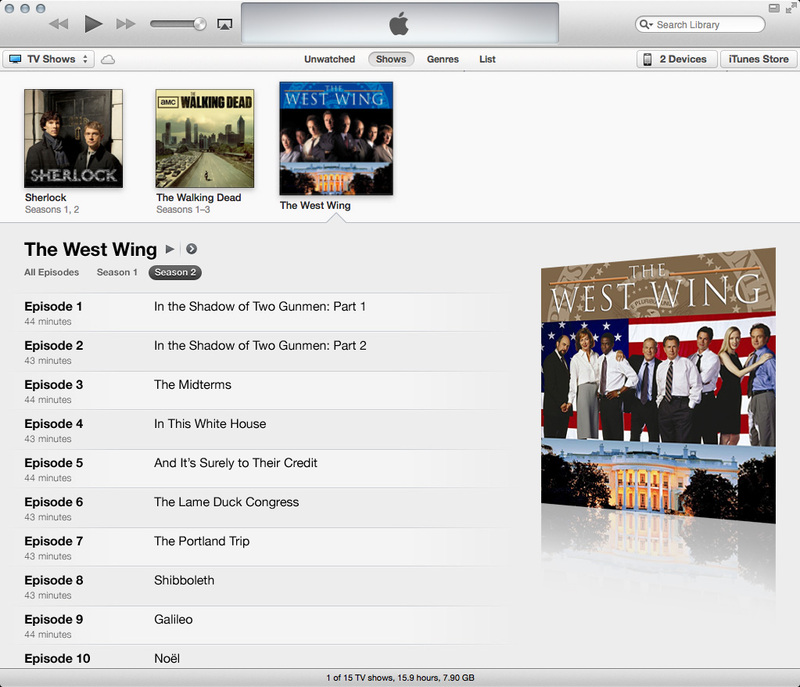 Here, I can reorder, remove, or add tracks to the currently playing list of tracks. 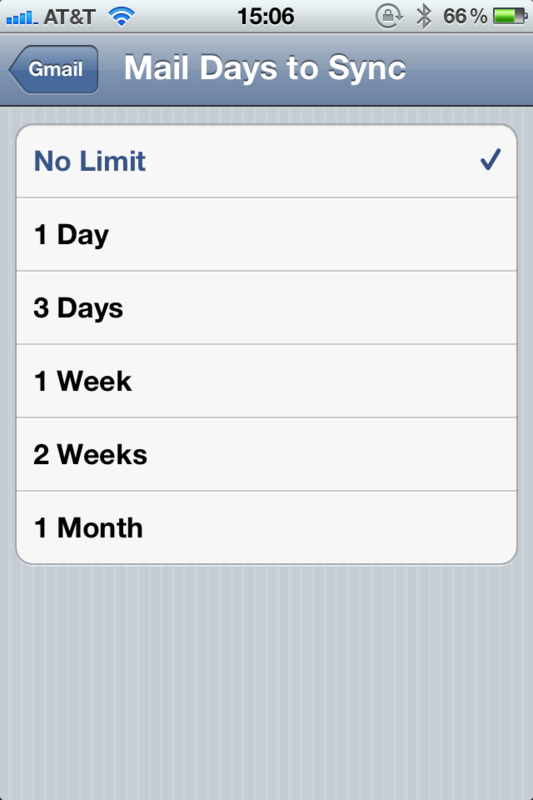 Also of note is the ability to add the currently playing track to a playlist. If I am listening to a particular track and think, “Gee, this would fit really well in X playlist”, I can immediately add the track to said playlist by tapping the ellipsis button and “Add to a Playlist…”. 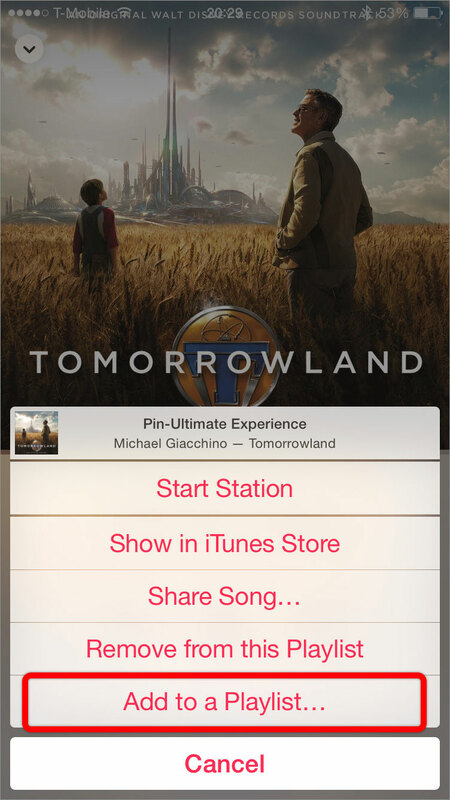 Previously, I would have to browse to the playlist, tap on Edit, tap +, and find the track in the library. While these two new features are great usability additions to Apple Music the app, they don’t overcome the larger usability frustrations of the redesigned app. These frustrations are enough to have me experimenting with alternative music players. I’m hoping a future version of Apple Music the app restores easy customization of the tabs—and thus also restores the superior usability of the old app. I cringed when I read that for the first time. Certainly not over the sentiment. Over the apostrophe. Did Apple commit the grammar sin of using an apostrophe for pluralization? No, and here’s why. Apostrophes are used for omissions (e.g. “can’t”, short for “cannot”, or “Oakland A’s”, short for “Oakland Athletics”) and possession (e.g. “the dingo’s last meal”). Not, not, NOT for pluralization (e.g. “1900’s”, “DVD’s”, or “the Hribar’s”). So what’s going on with that “no’s”? Turns out, if you have more than one “no”, you have “noes”. And that means the apostrophe isn’t an attempt at pluralizing “no”—it’s omitting the ‘e’ in “noes”. 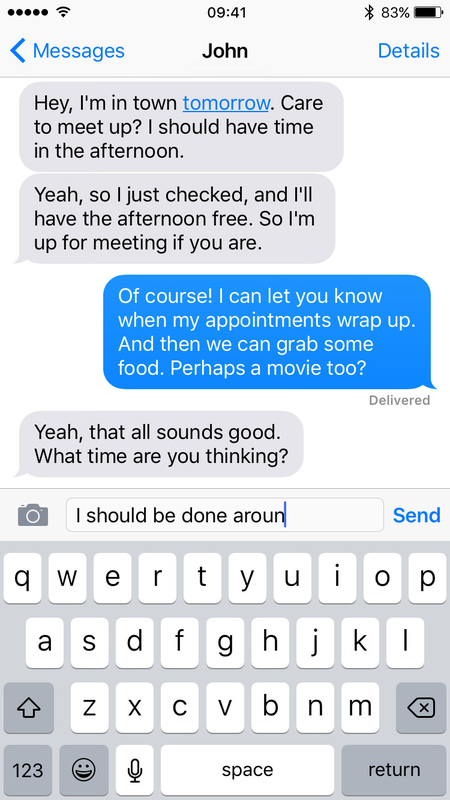 So, technically, “no’s” is correct. 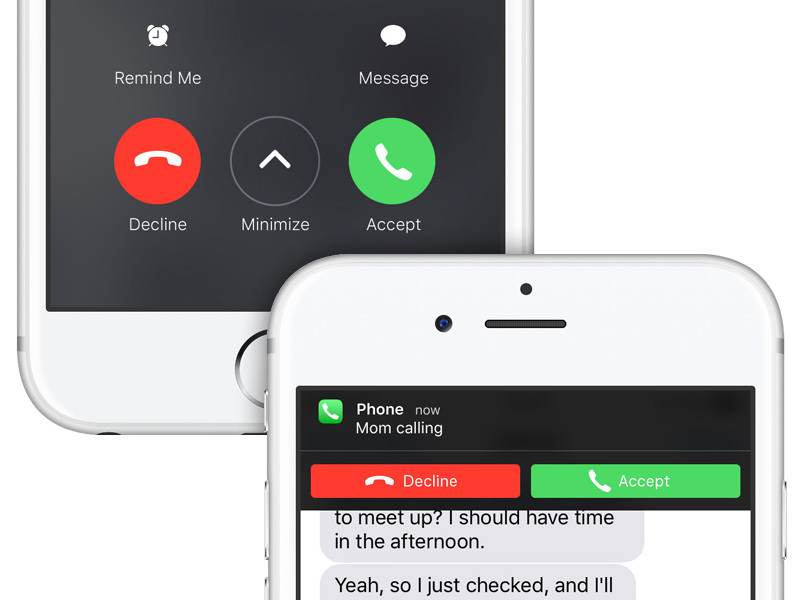 I’m guessing someone at Apple decided “no’s” looked less awkward than “noes”. While “no’s” still does look awkward and the line probably could’ve been rewritten to avoid the issue altogether, the apostrophe usage in the ad is technically correct. And thus concludes your grammar lesson for the day. Apple broke the rules today. Well, Apple broke its rule today. Since the release of the original iPhone, Apple followed a yearly release cycle with both its iPhones and iPads. Apple had an unwritten rule stating consumers were safe to purchase an iOS device knowing the next model wouldn’t be released for another year. But that ended today with the refresh of “the new iPad” that was released in March. Seven months after it was released, it was not only made obsolete, it was retired. It didn’t become the cheaper, previous model for sale; it was dropped entirely. 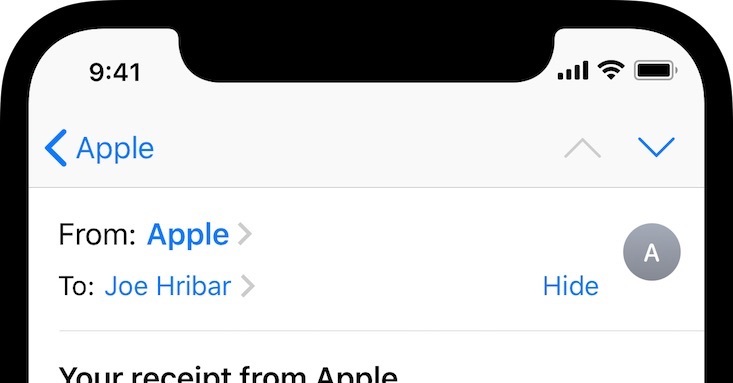 How is that supposed to make those of us who bought “the new iPad” feel? Angry? Confused? Duped? I feel all of the above. I’ve read numerous tech writers exclaim I have no right to be upset that Apple released something better and I have every right to buy that new thing or not. I don’t think this situation is that simple. Again, the “old” “new iPad” is no longer for sale. Gone. Apple is selling the iPad 2, the iPad 4, and the iPad mini—not the 3, 4, and mini. The 3 is dead. Apple sold us a device they had every intention of discontinuing several months after it was released. So here’s what I propose. Just months after the original iPhone was released, its price was dropped $200 for the holidays. Early adopters, rightfully upset at this, were given a $100 credit. 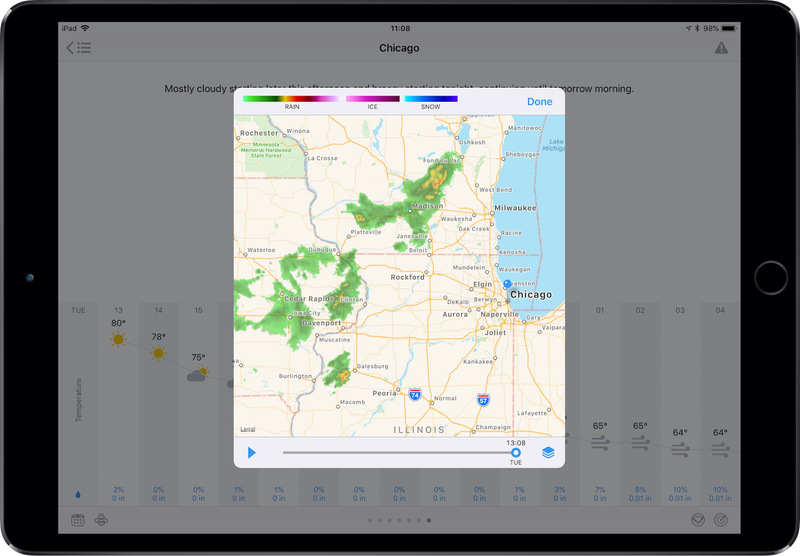 Apple should do something similar for iPad 3 owners—whether they bought it seven months ago or last month. Perhaps an Apple or iTunes credit isn’t the best route. 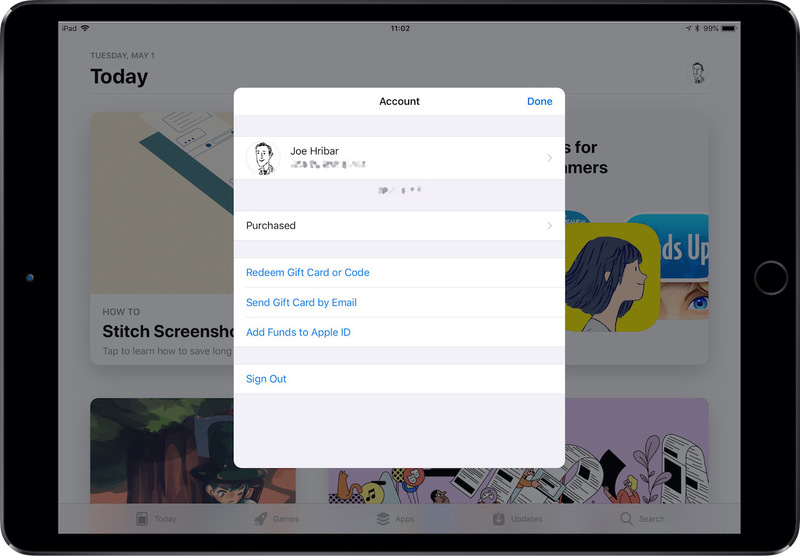 So how about the option to trade in iPad 3 for iPad 4 plus an upgrade fee? I’d pay $100-$150 to upgrade my iPad. Plus, Apple could then sell my iPad 3 as a refurbished device. Everyone wins! Apple should extend that same spirit of goodwill to iPad 3 owners. 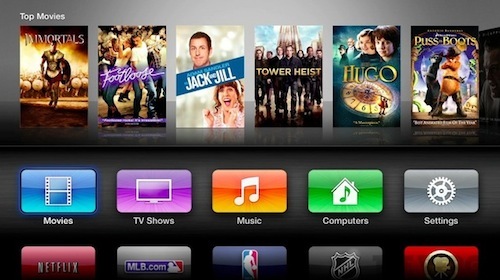 Along with yesterday’s announcement of the third-generation iPad came the announcement of the third-generation Apple TV. 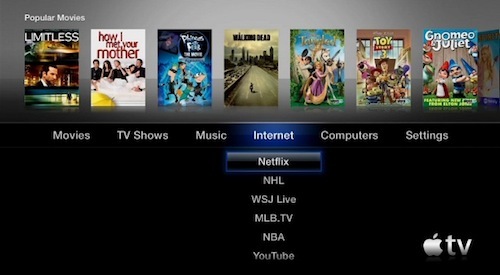 And with this new Apple TV comes a new interface—an interface available to second-generation Apple TVs as well. 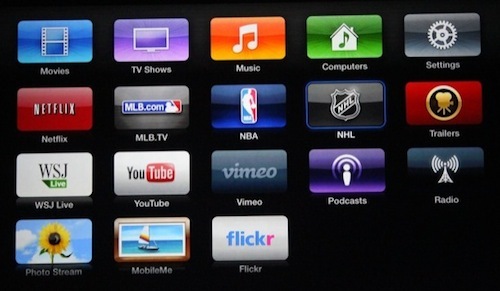 Apple TV has been inspired by iOS app icons. 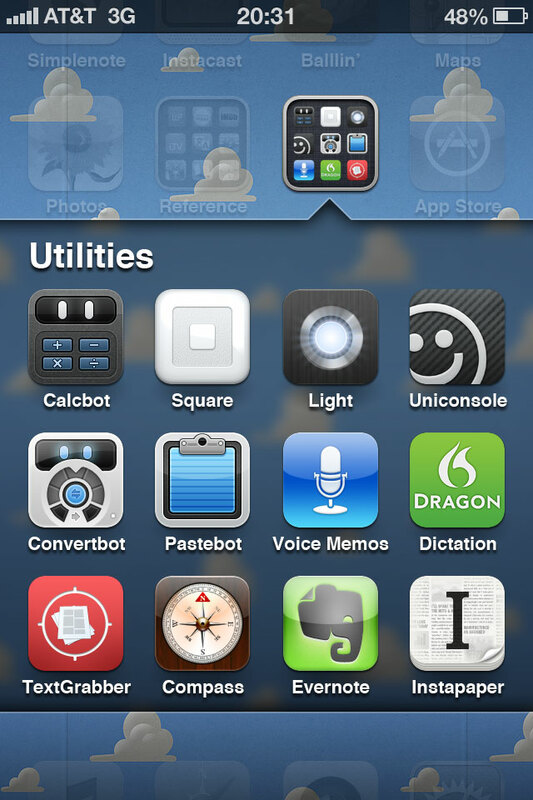 Something else it can be inspired by is app rearranging. 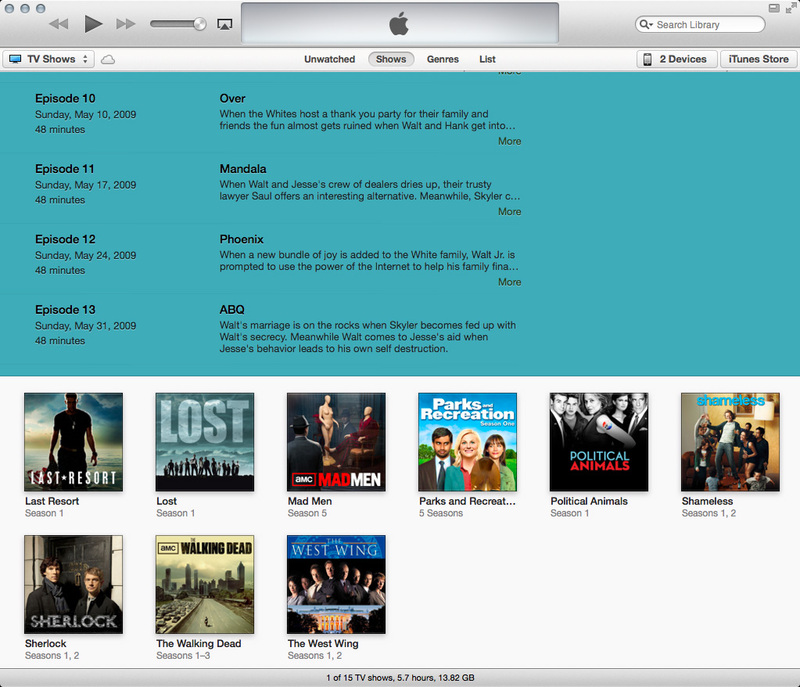 I primarily use my Apple TV for two things: streaming content from my iTunes library and streaming content from Netflix. Since Apple TV remembered the last menu I used, whenever I started up Apple TV, either my iTunes library or Netflix was selected. Navigating to the other was simple. If my iTunes library was selected in the Computers menu and I wanted to watch something on Netflix, using the Apple TV remote, I pressed left to navigate to the Internet menu and then select to launch Netflix. Two clicks. The scenario I described now has more steps. If my iTunes library is selected (the Computers app now) and I want to watch something on Netflix, I press down, left three times, and then select to launch Netflix. Five clicks. What was press, move thumb, press is now press, move thumb, press, press, press, move thumb, press. This is now my use case. But yours is likely different. Which brings me to my feature request. So just like in iOS, Apple TV should allow for rearranging apps. 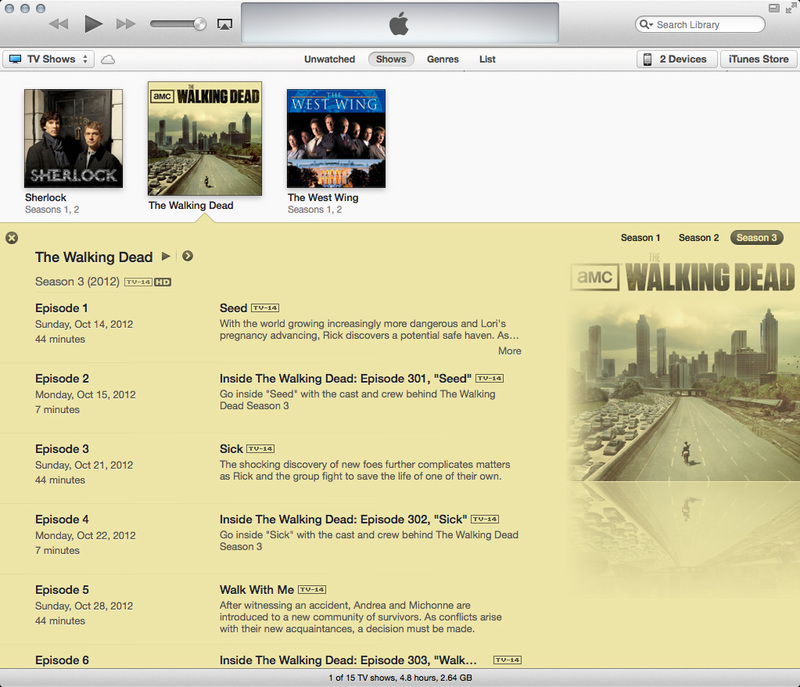 I’m not an iTunes Match subscriber, so the Music app is useless to me. 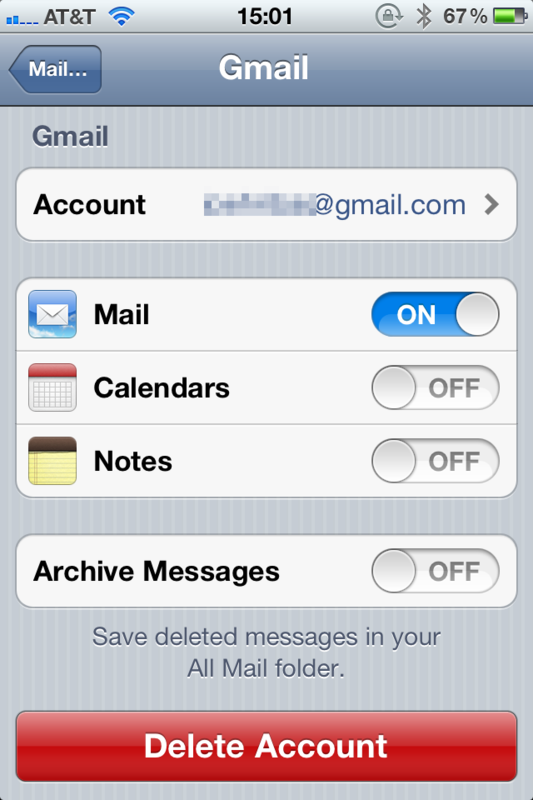 I’d like to replace it with the Netflix app to return to two-click Netflix launching. And since I rarely use the Settings app, maybe I’d like to replace it with the Trailers app. I can see this working two ways. First, the harder way: the Apple TV remote. 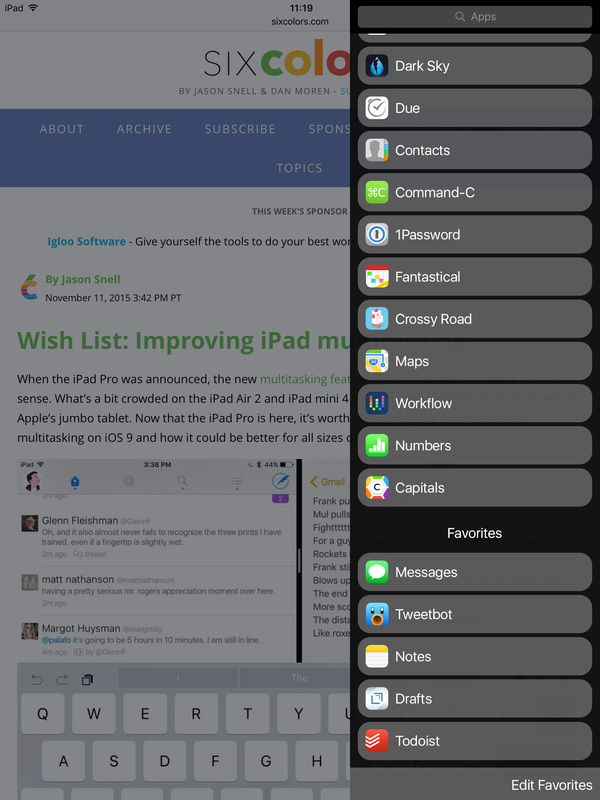 When in the main menu, clicking and holding the menu button on the remote makes the apps jiggle. 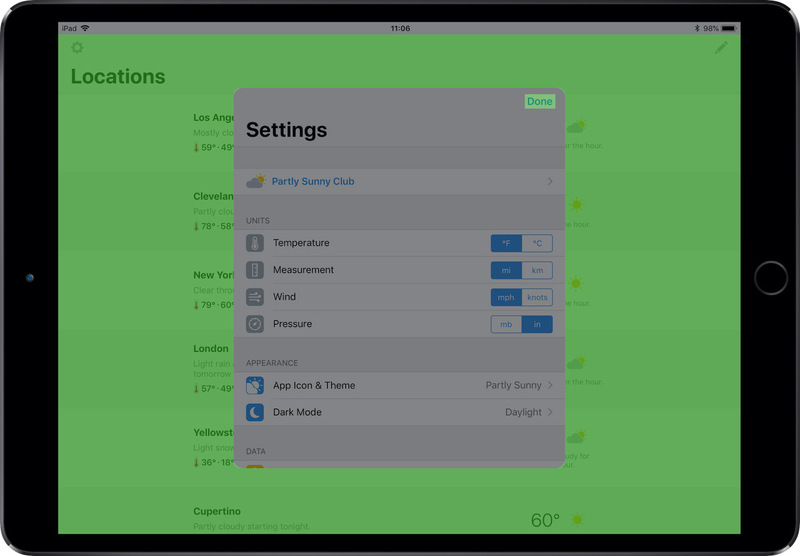 Then, I can use the directional buttons to navigate to an app, click the select button to select the app, and the use the directional buttons to move the app around. 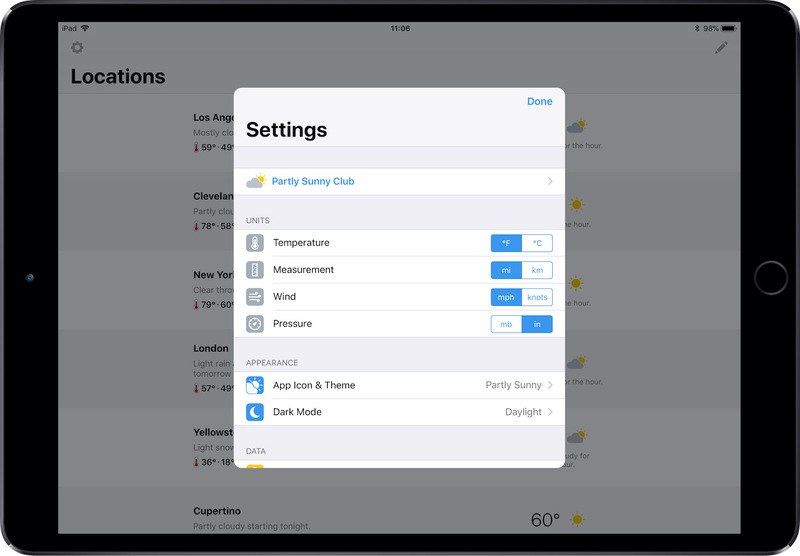 If I’m done rearranging, I click the menu button again and the apps stop jiggling; otherwise, I click the select button again to deselect the app, and I can select and rearrange another app. 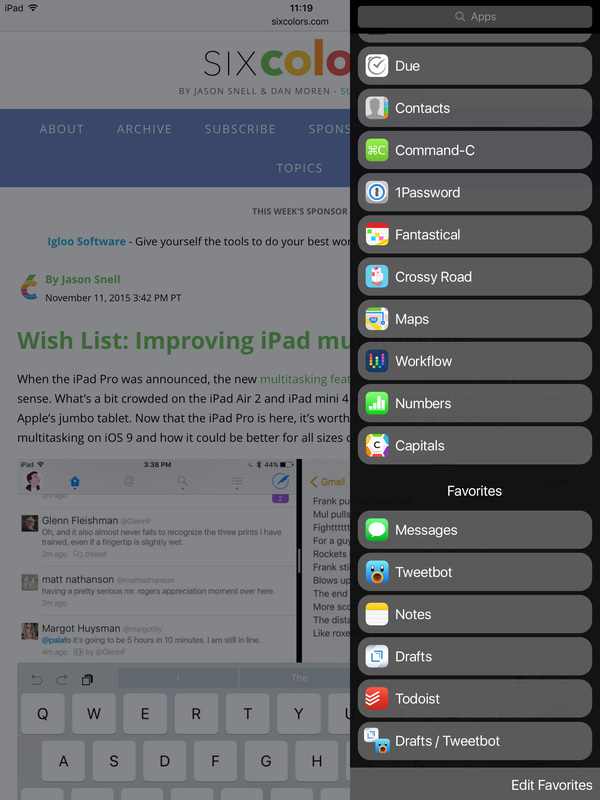 Second, the easier way: the iPhone and iPad Remote app. 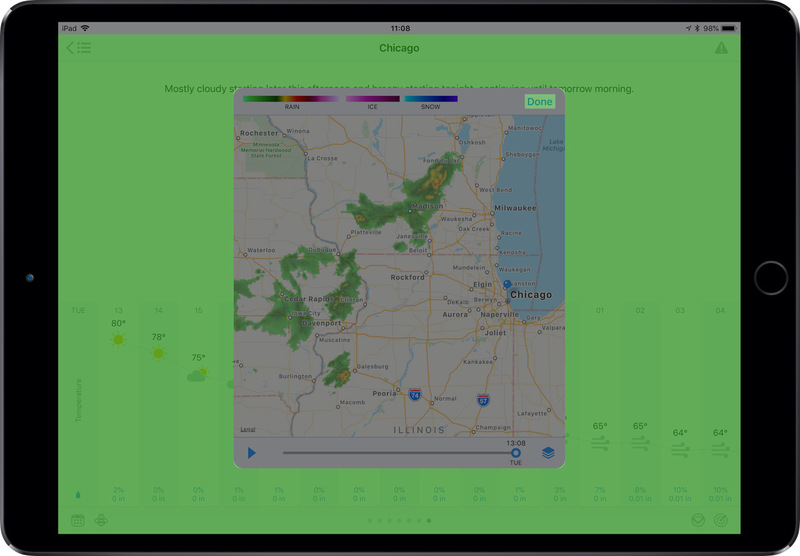 In the app is a grid of Apple TV apps. 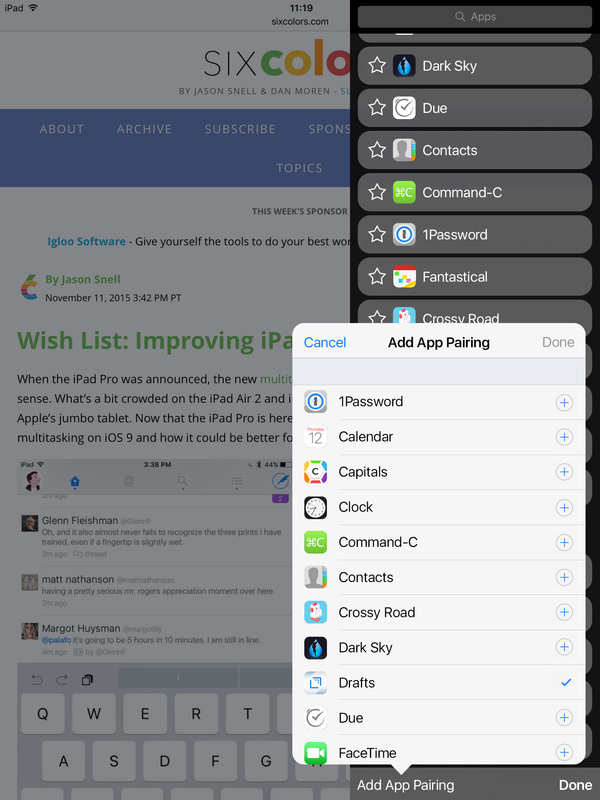 If I tap and hold on an app, they all jiggle, and I can rearrange them—just like how I rearrange documents inside Pages for iOS, and just like how I rearrange apps in iOS. 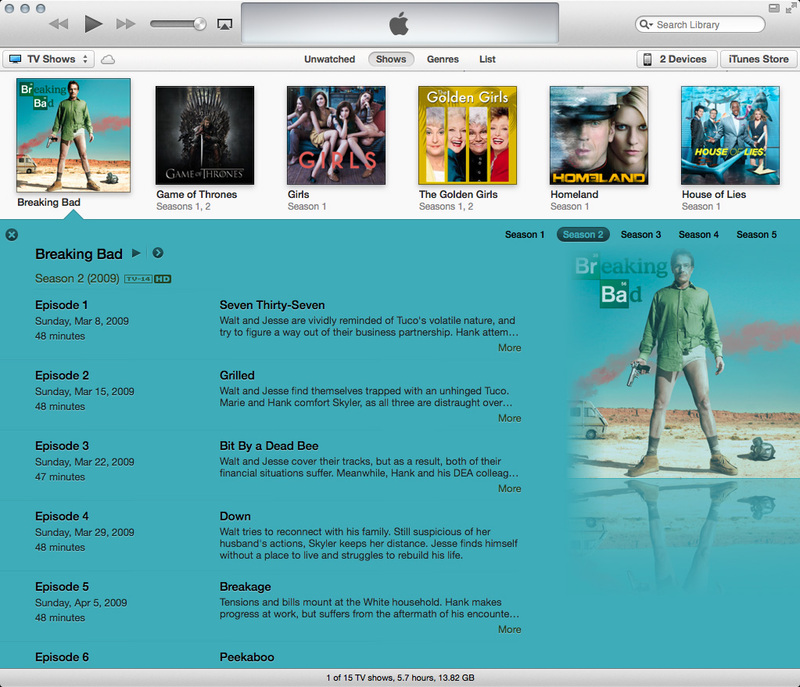 So now that Apple TV has iOS-like apps, Apple TV needs iOS-like app rearranging—and with it iOS-like jiggles. 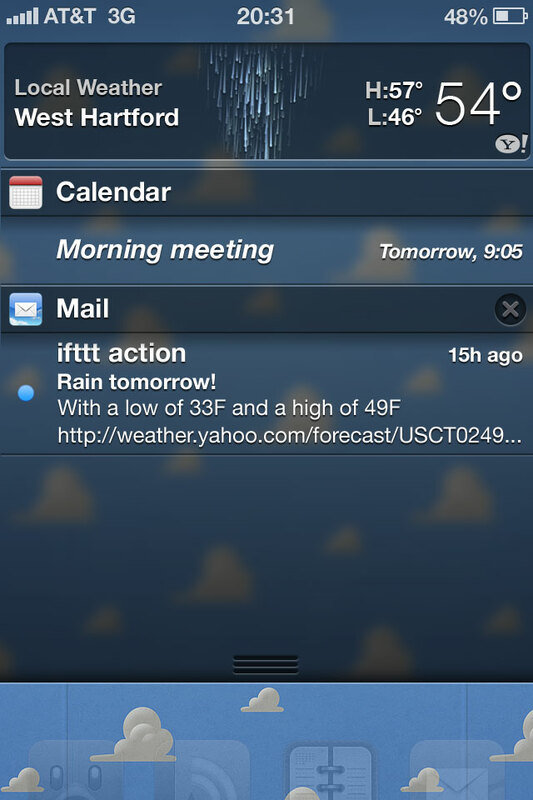 I love Notification Center in iOS 5. I love not missing any notifications because a new one came in. 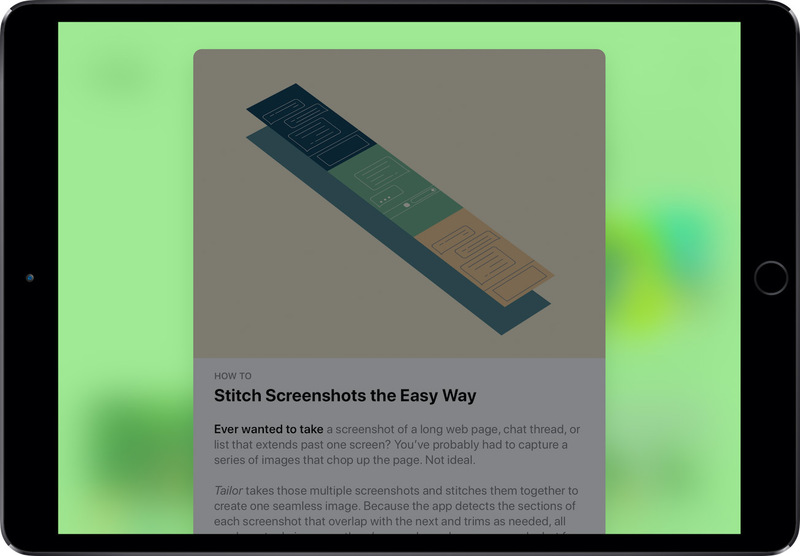 And I love periodically pulling down to open Notification Center just for the sake of opening it (I love me some touchscreen gestures, too). 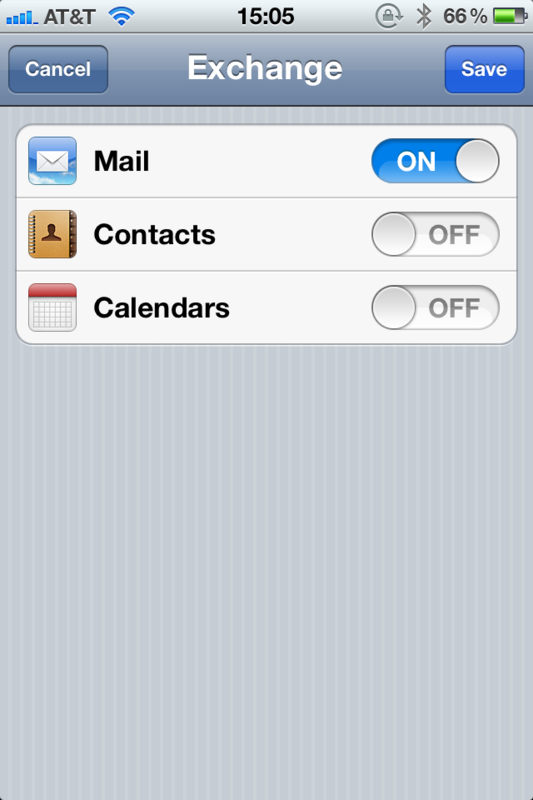 I don’t love that my iPhone goes off at all hours of the night. 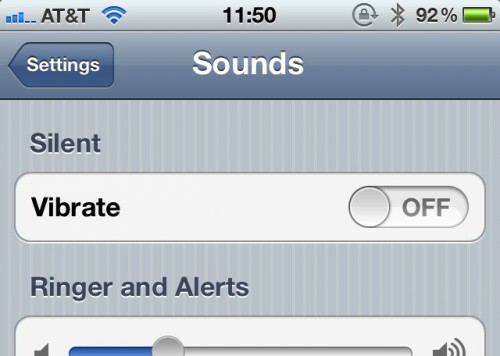 When I go to sleep, I toggle silent mode on. While I don’t hear notification sounds during the night, because I have my iPhone set to vibrate while on silent mode, it still vibrates at all hours of the night. 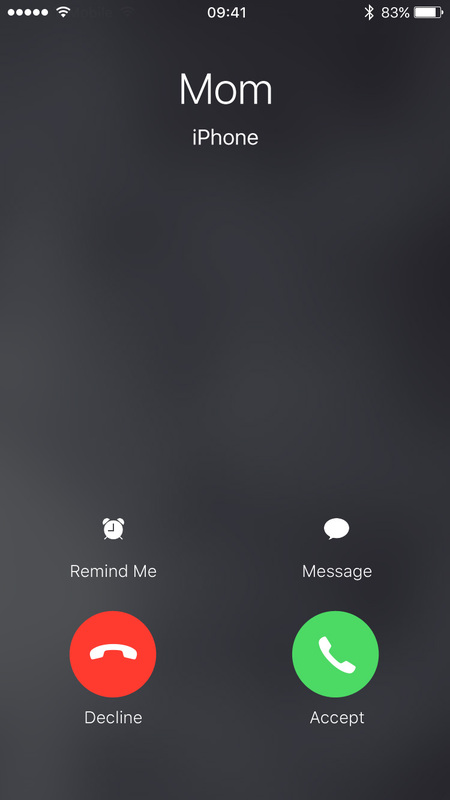 Missing from Notification Center is a sleep option where you specify a block of time where the notifications will still roll in, but iPhone won’t make any sounds. 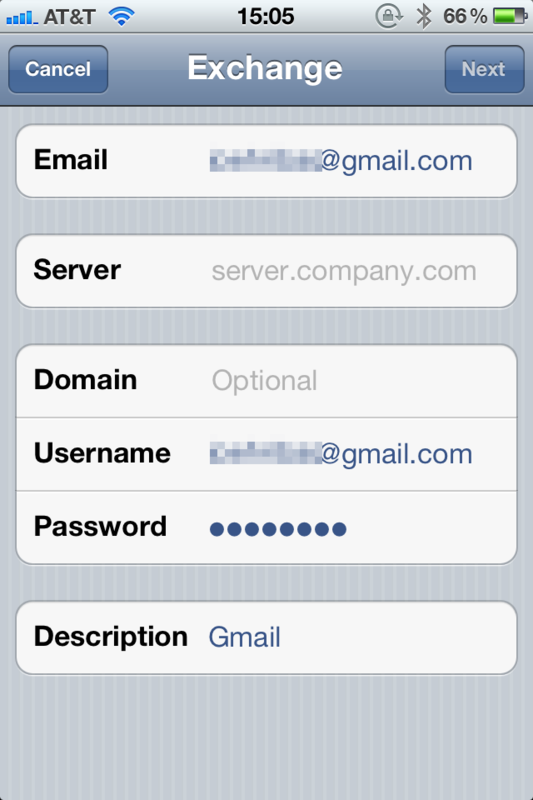 Some apps like Tweetbot and Boxcar have this option in their settings, but not all apps do and certainly not the Apple apps. 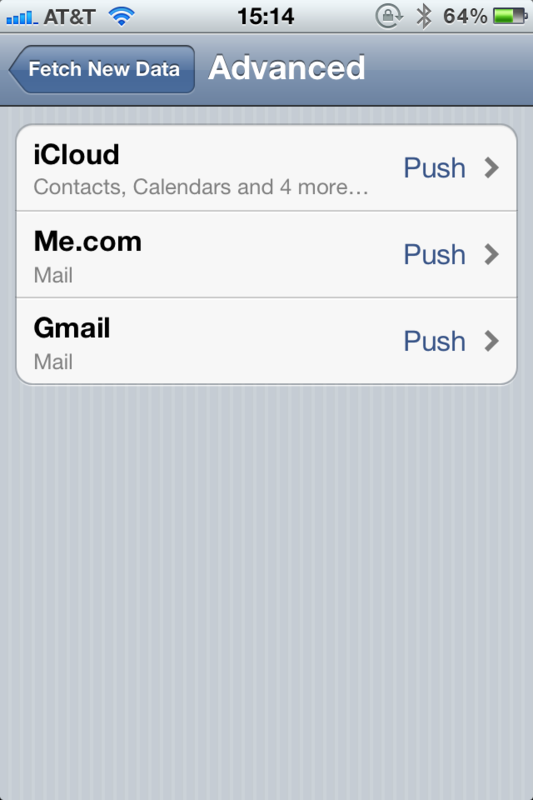 Notifications will still accumulate, but my iPhone won’t make a sound and won’t vibrate all through the night. 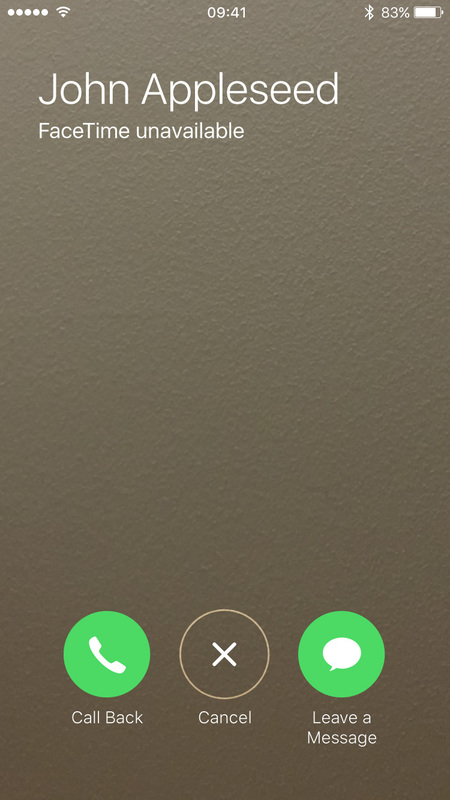 If I am using my iPhone as an alarm, the alarm will still play its sound even when the phone is in silent mode (this works for the Clock app but not for third-party alarm apps). 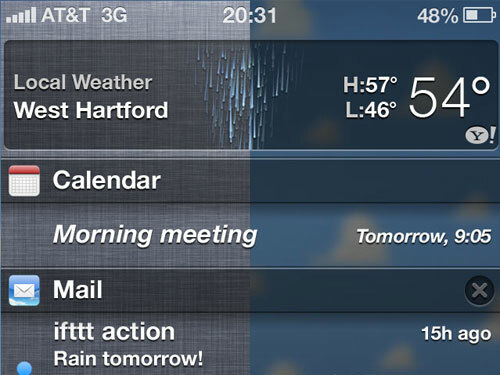 Having an actual sleep option for Notification Center would be great in a future iOS release. Until then, this is my workaround. Maybe you’ll find it useful, too. With all the chatter about iOS 5.1 hinting at the next generation of iDevices—and specifically the next iPhone—I started wondering about the iPhone naming convention and what, if anything, is Apple’s master plan for naming their flagship product. This naming-convention conundrum is only found in two of Apple’s product lines: iPhones and iPads. 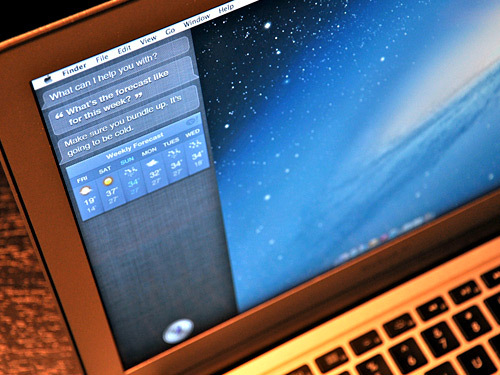 Whenever a new Mac is released, the previous model is removed from the sales floor. You can still get a refurbished previous generation product, but not from the sales floor. But with iPhones, previous models are still available. So how should they be named? The most obvious convention would be the iPad route. 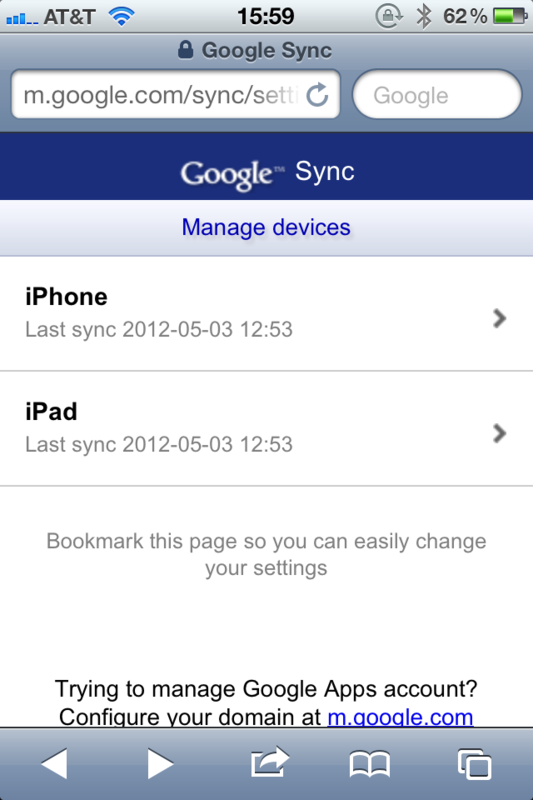 The first iPad is iPad 1; the second iPad is iPad 2. But that’s not possible with the iPhone (I’m looking at you, iPhone 3G). So, how about a different idea: name the phone using the year it was released. This year’s model? The iPhone 11. Next year’s model? The iPhone 12. 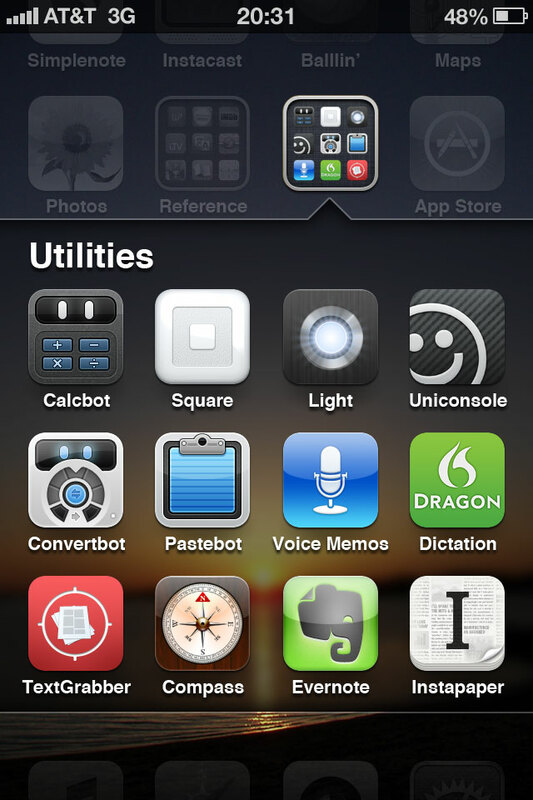 Or even the iPhone ’12. 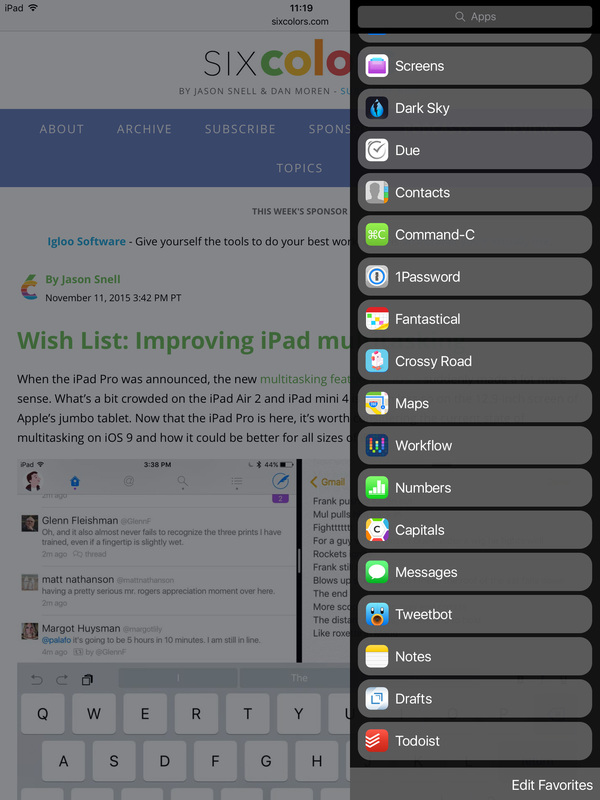 And for consistency, why not the iPad ’12? 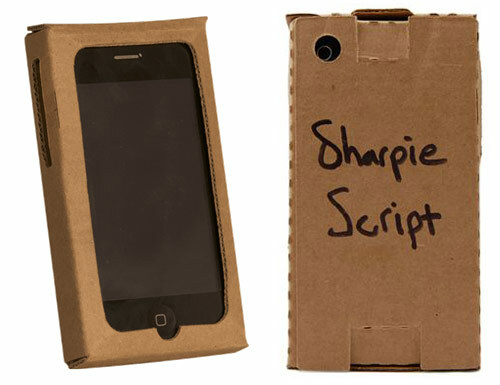 Apple only releases one iPhone per year, so this could work. This naming convention is what the car industry uses. You want a new car? Which year’s model do you want? And gone are the silly G and S names. And the “oh I really wanted an iPhone this year, but I was hoping it would be the iPhone 5”. No. You get this year’s model or next year’s model. So what’s wrong with this idea? Well, this naming convention assumes Apple will only release one iPhone per year. What happens if they release two? Yeah, I don’t know. 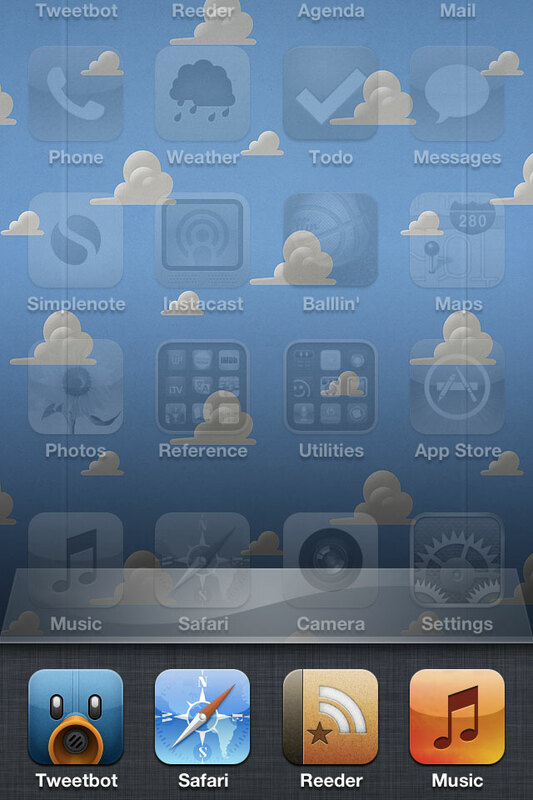 iPhone ’13A? iPhone ’13S (for Spring)? No. 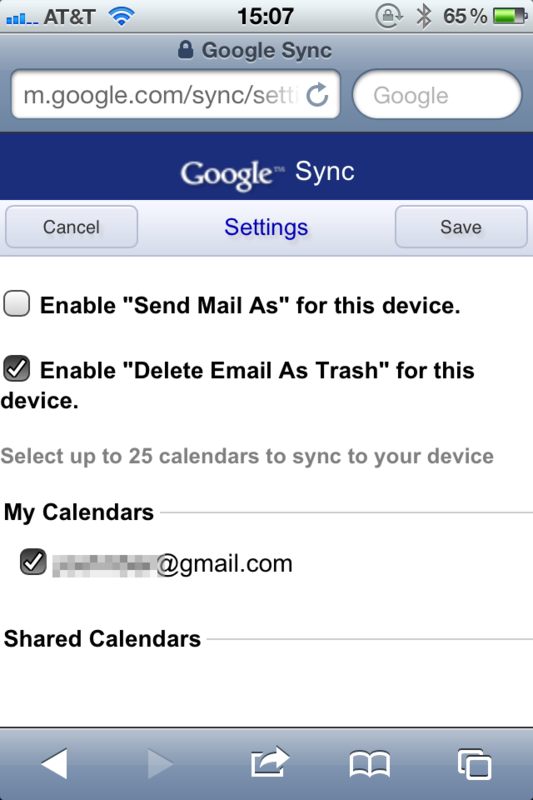 And perhaps this naming convention calls too much attention to the age of the device. Hey, it’s 2011. I think I’ll buy the iPhone ’09. Manufactured two years ago. 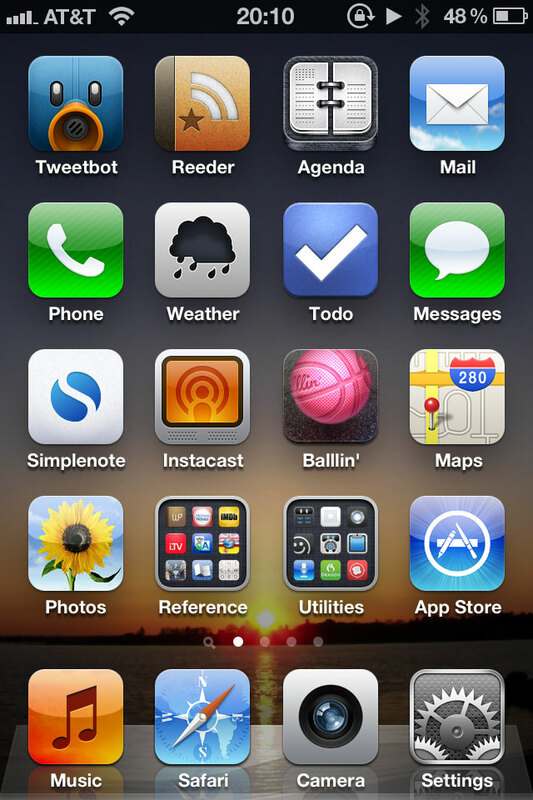 Prior to this year’s iPhone 4S release, the iPhone 3GS was still a popular phone. Would that have changed had the name of the phone called attention to its age? I don’t know, but not including the manufacturing year right in the product’s name does mask its age at least on first glance. A customer in the Apple Store looking at a comparison chart of the three available iPhone models now sees 4S, 4, and 3GS. Seemingly, they could all just be variations of this year’s technology (even though they aren’t). But that mask is lifted when the comparison chart shows ’11, ’10, and ’09. Perhaps this is a small issue, but something to consider nevertheless. I guess something else to consider is just going with the industry norm and naming the next iPhone the Apple iPhone Invigorate A6 4G Turbo Deluxe SmartPhone. That works, right? If Apple did name the next iPhone that, it would still set sales records because in the end, perhaps what we’ve learned is the name of the device doesn’t matter. An iPhone is an iPhone, and people know what they’re getting no matter what it’s named. I’ll be getting next year’s iPhone whether it’s named the iPhone ’12, the iPhone 5, or the Apple iPhone Invigorate A6 4G Turbo Deluxe SmartPhone. 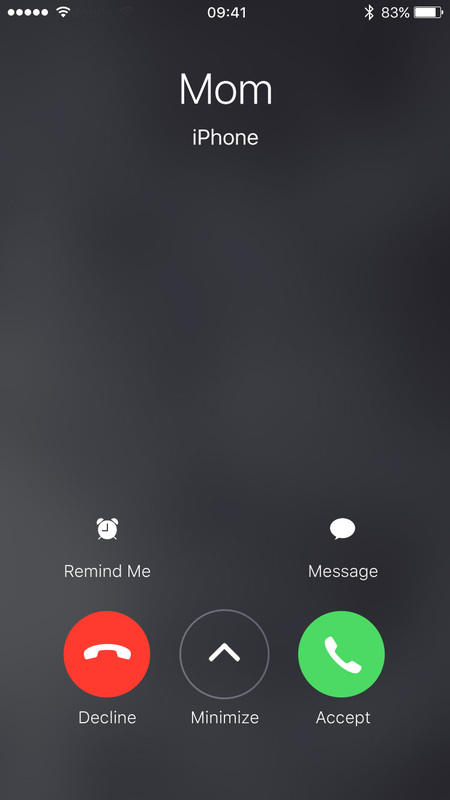 I’ll say WTF is this name and then not be able to take my hands off the phone. Just like everyone else. I can’t get my hands on an iPhone 4 yet, and this effing guy is BLENDING one?! Sonofabitch. 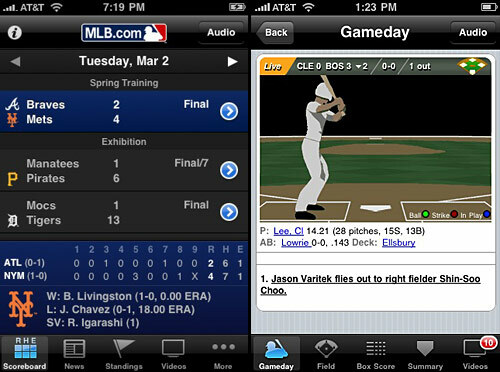 Via TUAW, the 2010 edition of the MLB At Bat iPhone app will allow you to stream audio in the background while you accomplish other tasks on your iPhone. While Apple doesn’t allow 3rd party apps to run in the background on the iPhone or iPod touch,* Silicon Alley Insider notes that you can listen to audio in Mobile Safari while using other applications. It’s this trick that MLB exploited with At Bat 2010. 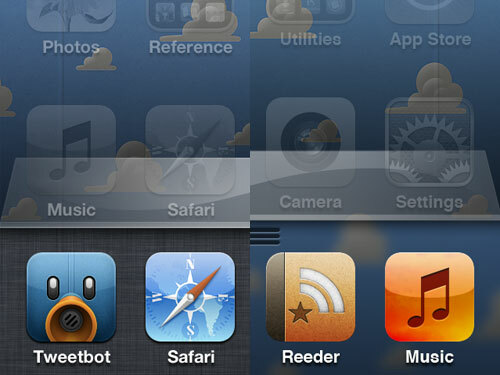 With the tap of a button, At Bat will push an audio stream to Mobile Safari. Note that MLB didn’t come up with this trick, nor is their app the first to exploit it. ESPN Radio does it, as well as Scanner911 and FlyCast. Still, it’s nice that MLB’s devs acknowledged that some users might want to check email or hop onto Twitter while listening to game, and made it easy to do so. 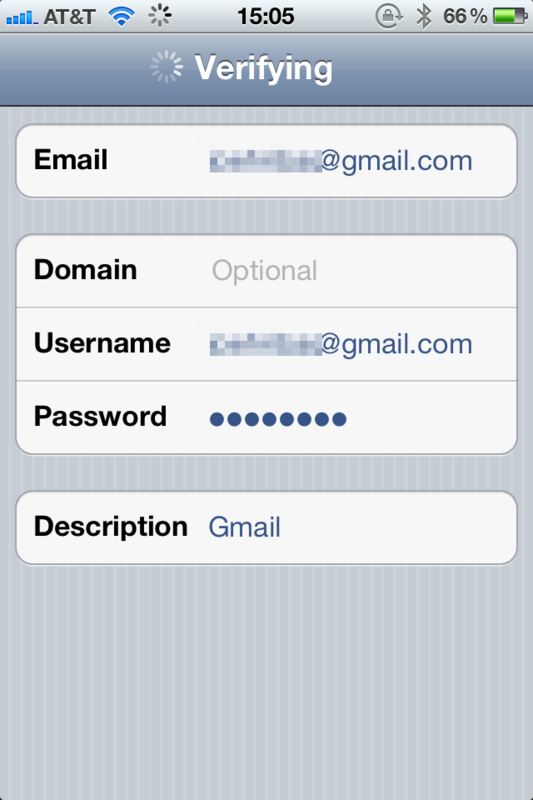 Dear Apple: please make this available sans-jailbreak and sans-hack. Thank you. Need an iPhone case but are a bit short on cash? iPhone case maker Case-Mate has a solution: the iPhone 3G / 3GS Recession Case. Tough times call for tough cases and that’s where the recession case comes in! The recession case lets you keep cash in your pocket without sacrificing on unique design for your beloved iPhone! 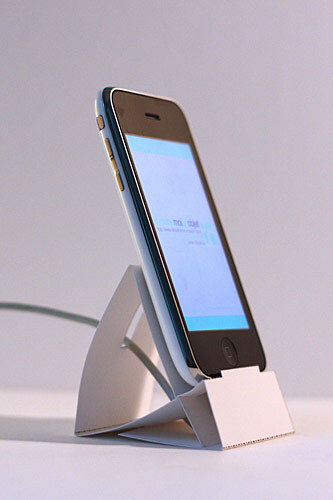 And if you need an iPhone dock, you can make one for virtually-free! Out of paper, too! Just print-out the template and follow the instructions! 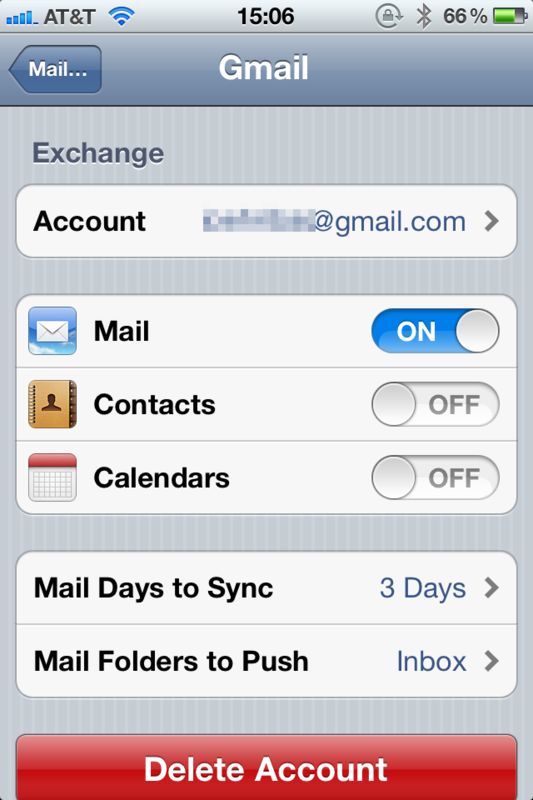 The only applications loaded in by default were SMS, Calendar, Photos, Camera, Calculator, Stocks, Maps, Weather, Notes, Clock, Phone, Email, Safari, iPod and Settings. 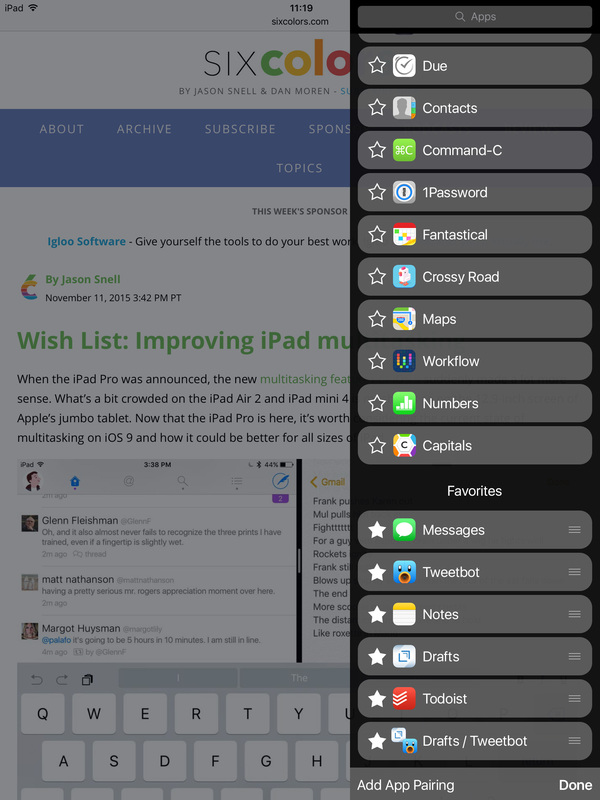 While the list may seem impressive typed out, there weren’t even enough applications to fill the whole screen. There certainly weren’t the 50,000 applications that are available today. Steve Jobs and company told us from the beginning there wouldn’t be an SDK. 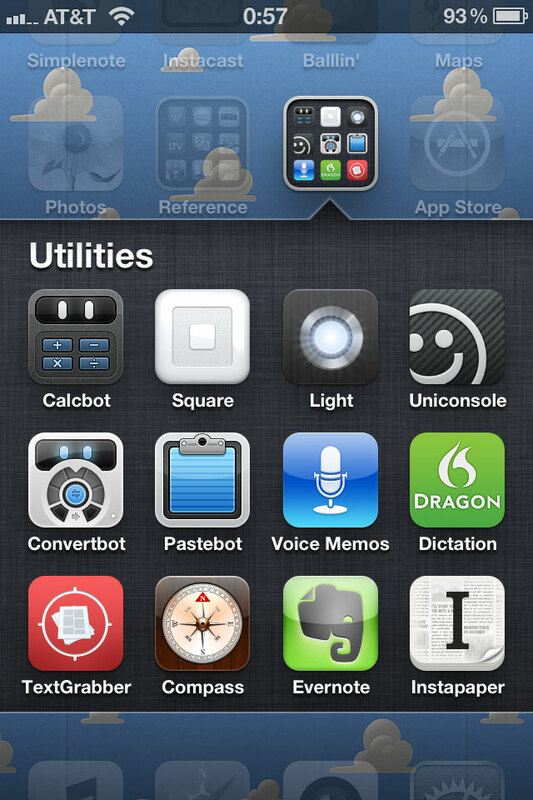 Instead developers were encouraged to write web apps, taking advantage of the iPhone’s great mobile browser. 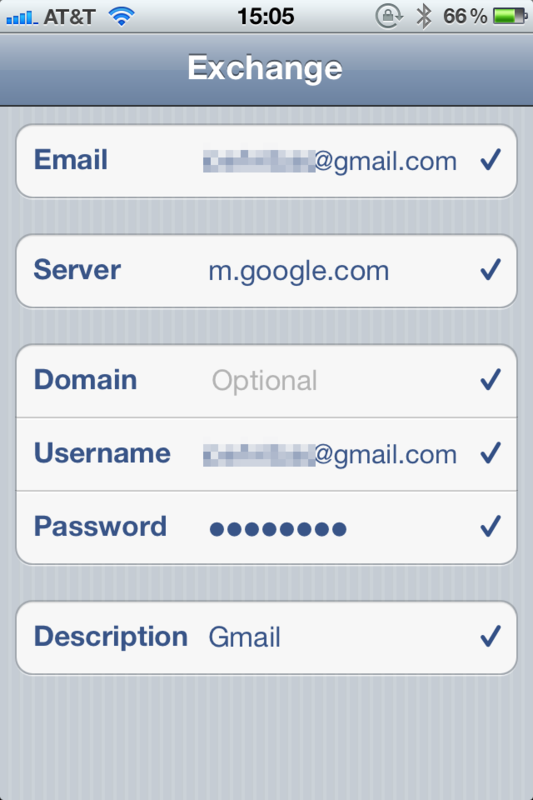 Obviously people weren’t happy with this arrangement, and jailbreakers (including our own Erica Sadun) got to work shoehorning in native applications with no help or documentation from Apple. I can’t wait to see what’s in store for us iPhone geeks next summer! Smartphone users just don’t know what they want. One of the biggest, loudest complaints about all-touchscreen phones like the iPhone is its lack of a hardware keyboard, and now a survey shows Pre users most want a soft keyboard. The lack The beauty of not having a hardware keyboard on the iPhone is that it’s there when you need it and gone when you don’t without you needing to physically alter the device to get the keyboard as the OS on the iPhone hides and reveals the keyboard for you. No pesky sliding that you may or may not be able to do with one hand, no worries about switching the language on your device should you need to and not having the proper keyboard to match, no reason to manufacture separate devices with keyboards for specific languages, etc. 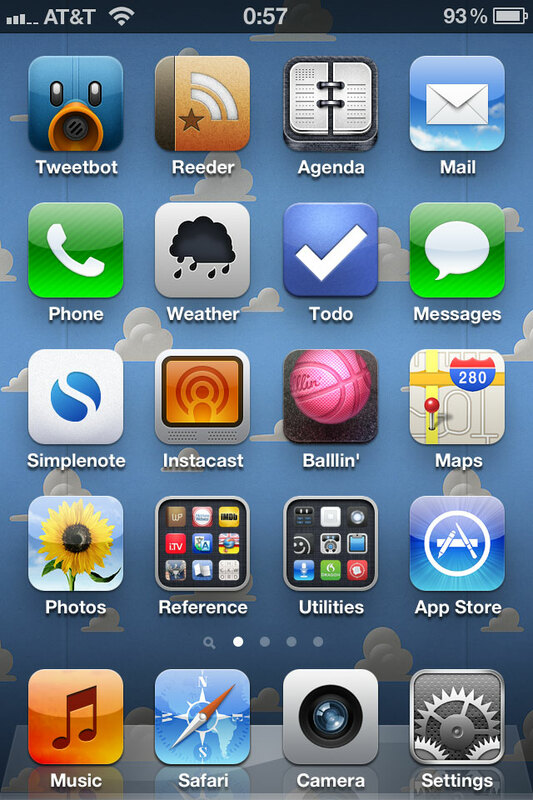 iPhone OS 3.0 is finally here today. Sometime today, that is. I feel like a little kid on Christmas morning whose parents told him he has to wait until after church to open his presents–the presents are there, I know they’re there, but I can’t have them yet. We know the upgrade happens today, but we have to wait until Apple deems us worthy. Ahh! The suspense! 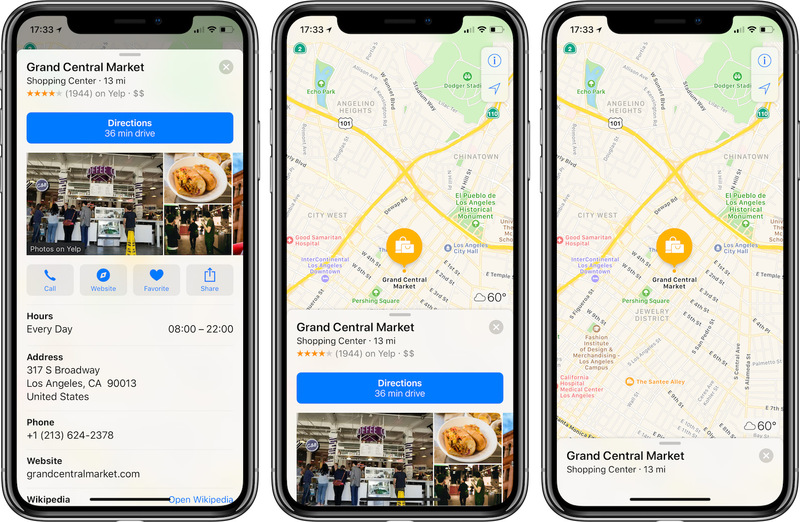 MG Siegler at TechCrunch argued this weekend for a Genius feature for the iTunes App Store, similar to how the Genius feature for music and movies already works. The problem is that while early on, it was pretty easy for small-time developers to make an app and get it noticed in the store, now with 50,000 apps, we’re getting to the point where you need to do something else to promote your apps. That’s good news for big time development studios like EA, which can throw marketing money at the problem. But for some smaller developers some of which are just one person that’s simply not an option. 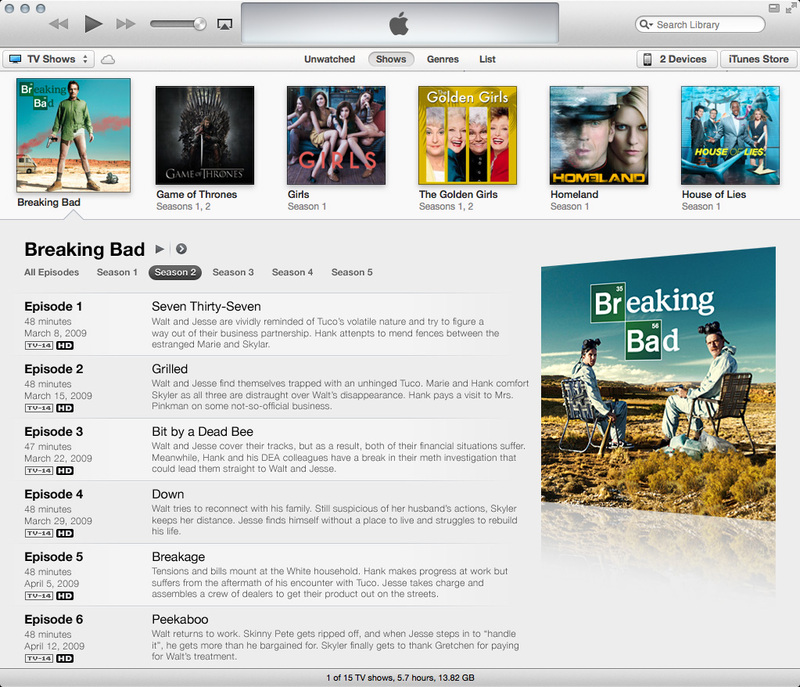 But there is one potential solution, and it’s one Apple already has built-in to iTunes: Genius recommendations. So, like the music and movies Genius feature, the App Store Genius would give recommendations for other apps you might be interested in based on what you have as compared to other similar users. What a terrific idea, and I find it hard to believe a) Apple hasn’t already thought of this or b) this isn’t in the works already if the Genius feature, originally only for the music store, was recently extended to the movie store. iPhone and iPod touch users knowing what other apps they might also like could open an additional stream of revenue, no? Hard to argue against instating a feature to bring more cash in. I know I would find this helpful. 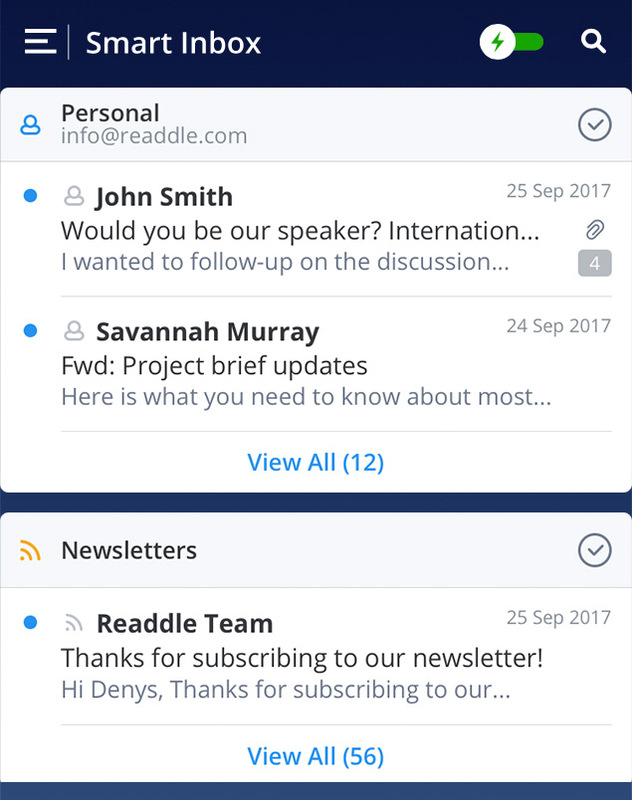 I used to subscribe to a couple RSS feeds that listed new apps, but I quickly found I couldn’t keep up with the volume of new apps that came in. That volume is great for Apple, but bad for users who can’t keep track of the apps and bad for small-time developers who can’t get their apps noticed. With a Genius feature, more apps will be exposed to more users, resulting in a win for users, a win for developers, and a win for Apple. Perhaps there’ll soon be an app for that, too.